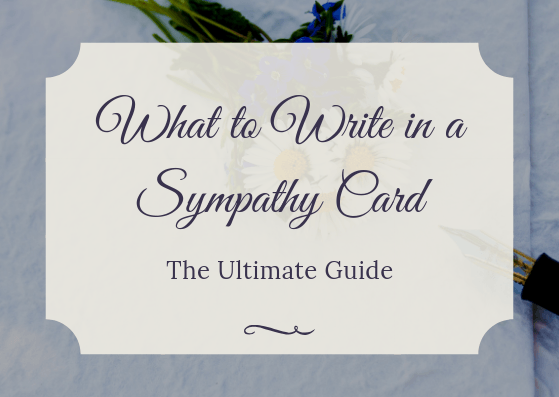 This is the most comprehensive guide on what to write in a sympathy card. Period. 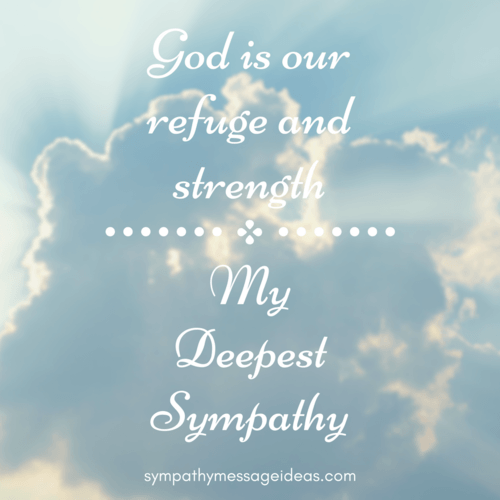 You’ll find over 130 sympathy messages for friends, family, coworkers and more on this page. 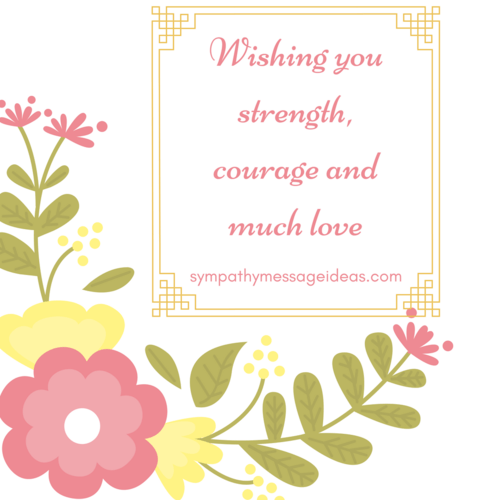 As well as a complete guide to writing your own sympathy card messages. 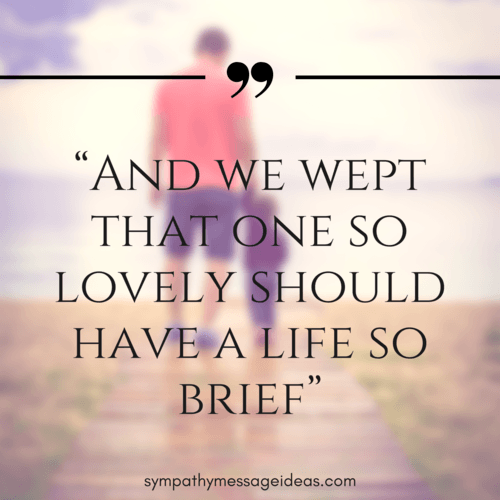 So if you’re struggling with what to say in a sympathy card, this is the post for you. Writing a sympathy message can be hard. 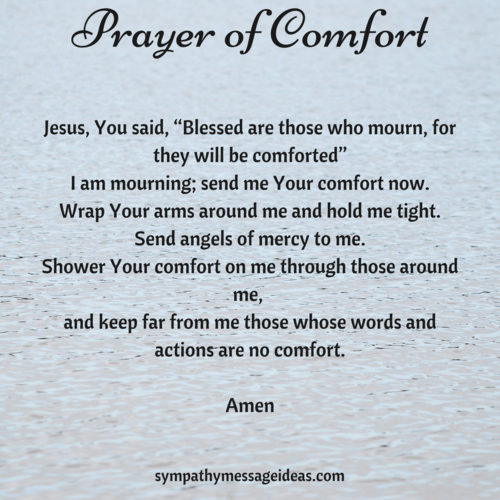 Finding the appropriate words and offering your condolences in a fairly short, simple way is difficult for most of us. 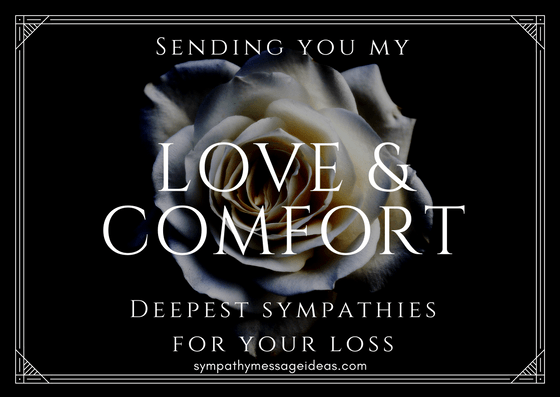 These examples should help to show you the sort of sympathy messages and sentiments that you can express in your card. Please know we’re thinking of you during this terrible time. If there’s anything you need we are here for you. Stay strong. It’s beyond cruel to lose someone we loved so dear. 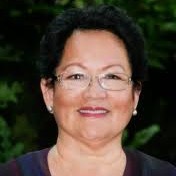 We’re so deeply sorry for your loss. You may want to say just a few short words of condolence in your card. Keeping things simple and not saying too much can often be more appropriate. The following examples are suitable for most situations and can be used in a card or in person. A friend losing a loved one is never easy. 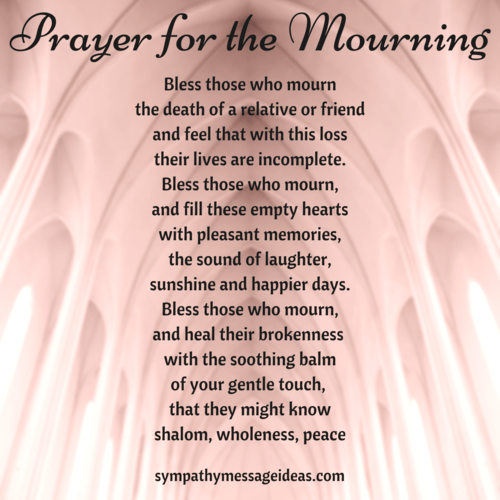 We don’t want to see a close friend grieving or in pain. So expressing your sympathy for their loss and being there for them is part a strong friendship. Try to show your support and offer anything they may need. And don’t be afraid to show your compassion and empathy in your sympathy wishes to them. I can’t begin to understand what you’re going through but am here if you need anyone to talk to. 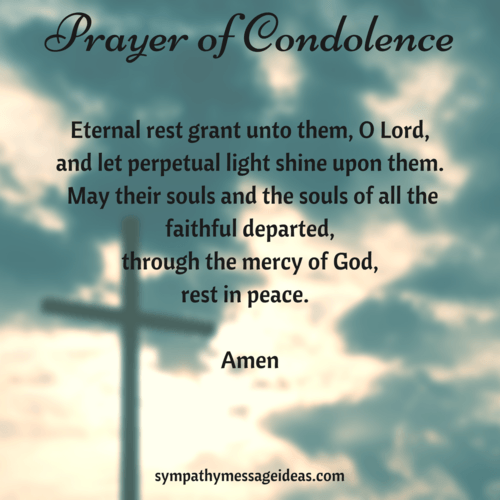 See more condolence messages for friends. The loss of someone as important as a mother is heartbreaking for her children. It’s an incredibly difficult time for them and one that should be handled with sensitivity. Use your message to be positive about the persons mother. Maybe mention a story or anecdote about them. Or just a fond memory you have. 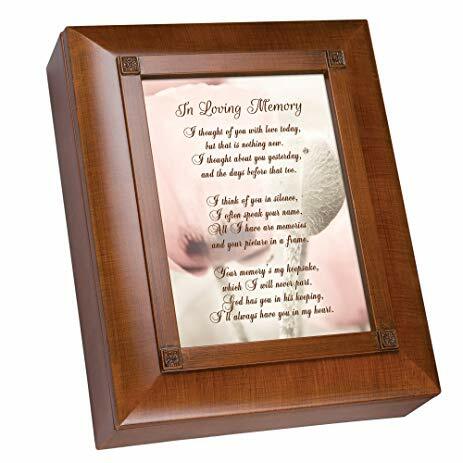 Whatever it is, show your respects with a heartfelt message of sympathy for the loss of a mother. 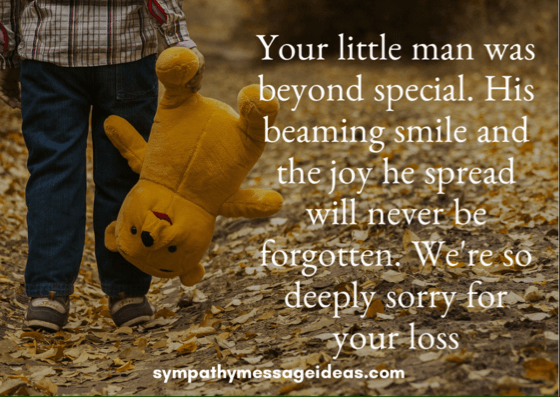 Much like losing a mother, the loss of a father will be devastating to his family. In a time like this it can be comforting for his children to be reminded of the sort of man he was. Reflect on the positive qualities he had and how you admired him. 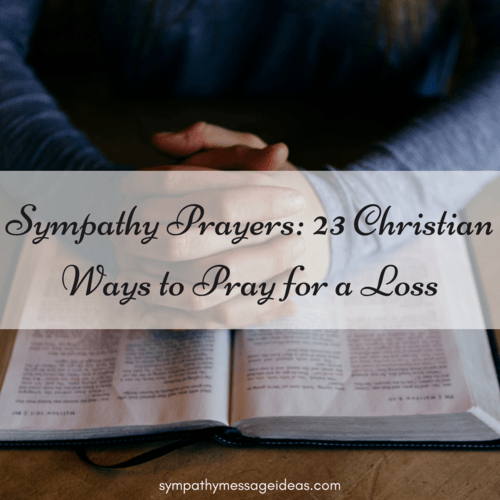 The examples here should give you an idea of how to express those condolences. 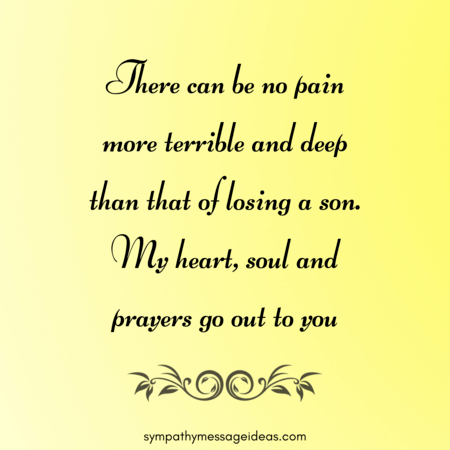 There can be nothing as painful as losing a child. Most of us will be unable to comprehend the pain and heartbreak it brings. 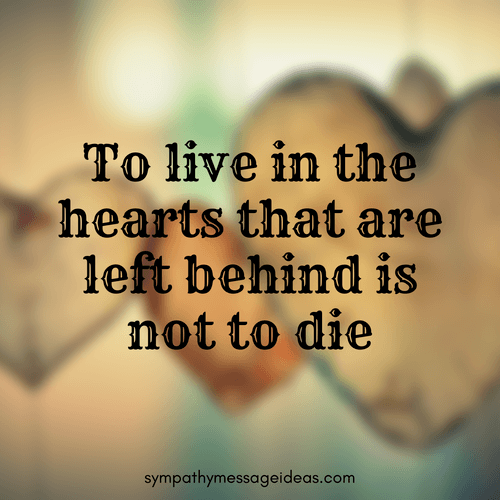 A parent outliving their son is one of life’s tragedies. Words will do nothing to help that pain but showing they are loved and have people who care for them may bring some comfort. So use the sympathy messages below to try and offer some solace in such a dreadful time. The loss of a daughter will be equally as crushing as that of a son. 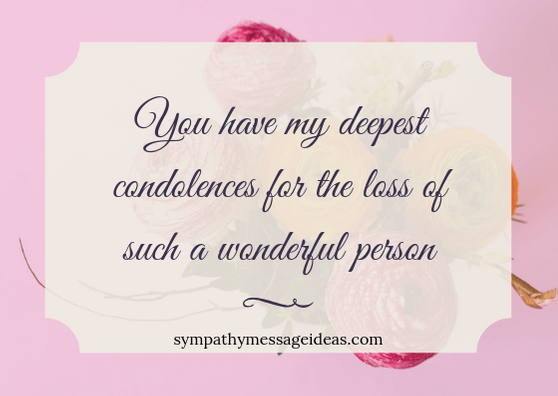 Try to offer your condolences on the most thoughtful way you can with these sympathy messages. Losing anyone from your life is terrible. But the loss of a spouse is one of the worst. 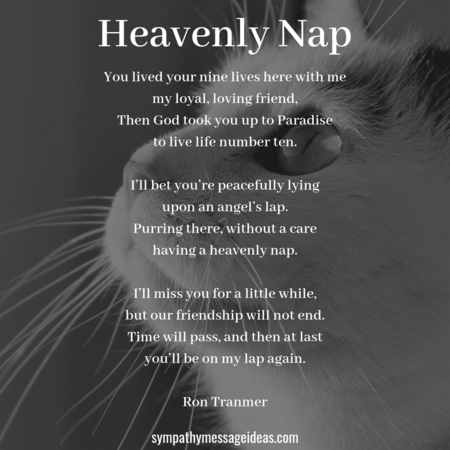 For someone you have loved more than almost anyone and have spent your life with – the pain will be immense. 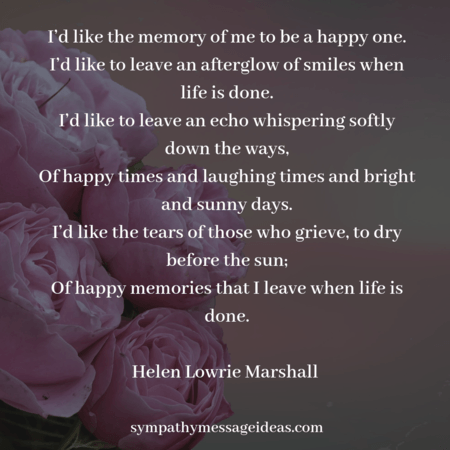 So if you know someone that has suffered the loss of their husband then these words of sympathy should offer support in their time of grieving. 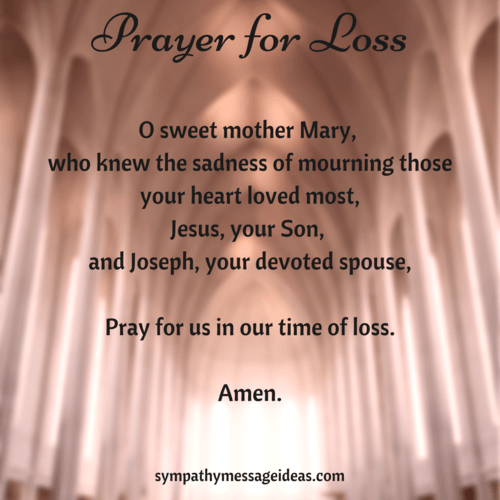 As with losing a husband, the loss of a wife will affect their partner and family profoundly. 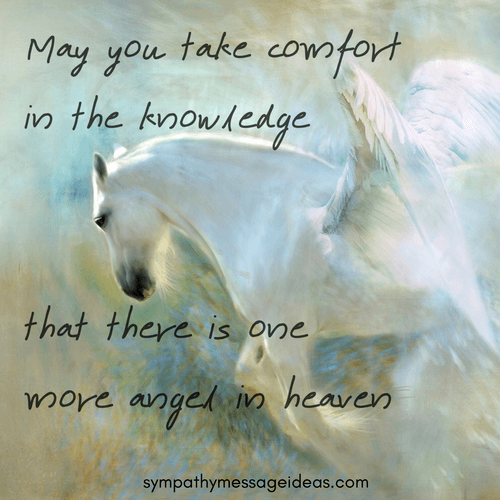 Show your support and reach out to offer some comfort with a touching sympathy card message. Siblings are often extremely close to one another. So losing a brother will have a dramatic and painful impact on his brothers and sisters. 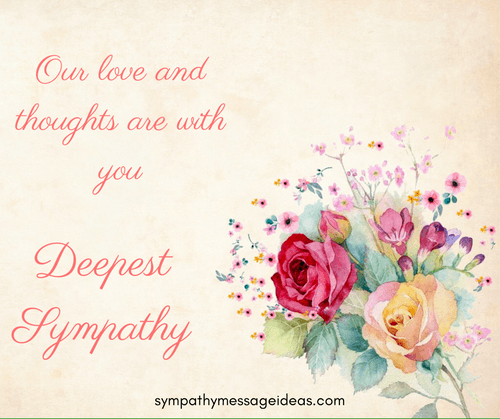 Show your understanding and empathy with a heartfelt condolence message for the loss of a brother. Use the examples below to help. Just as with losing a brother, the loss of a sister will be impossible to bear. 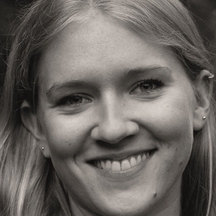 Her siblings will be bereft with the death of their beloved family member. 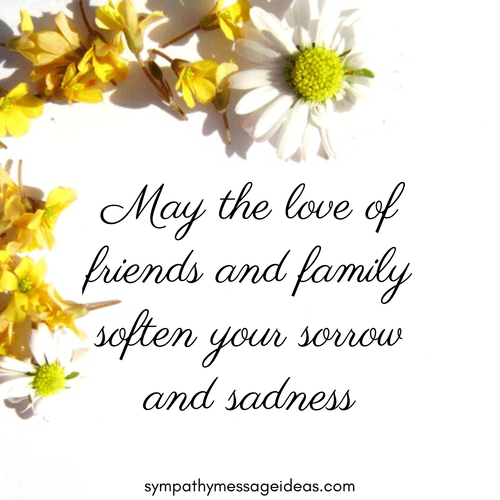 Try to be there for them and show that through a supportive sympathy message. Work colleagues may not be as close as family or friends. 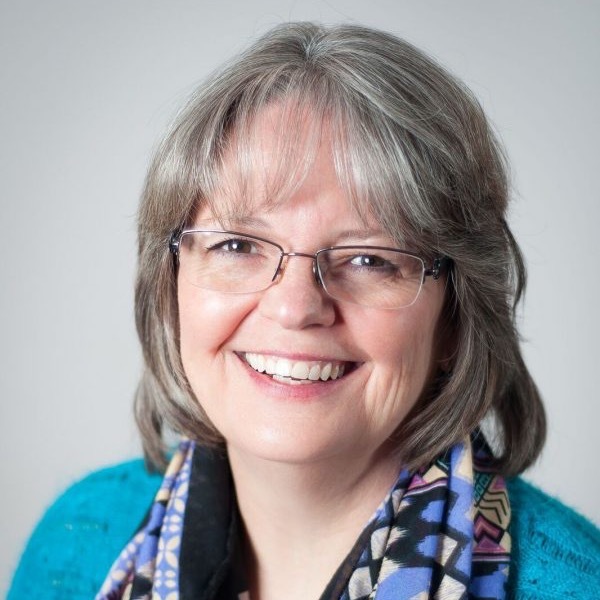 But losing someone you are used to seeing every day at work can be deeply affecting. 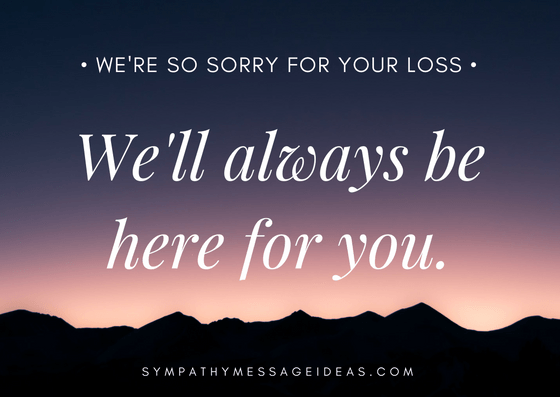 Use these messages to send a sympathy note or card to the family of your coworker expressing your sorrow for their loss. 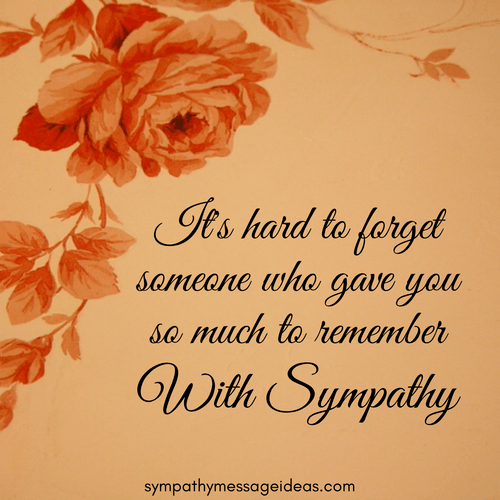 Writing a sympathy message for someone you don’t know well can be even more difficult than to a loved one. Striking the right tone and using appropriate words is important. Use these examples as a guide for what to say. We love our pets just as much as family. 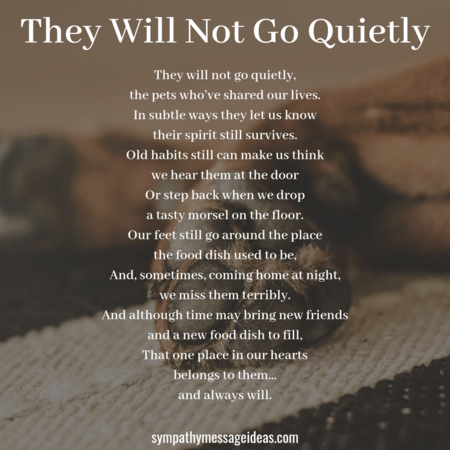 They become equally as important to us, and we grieve their loss in the same way. 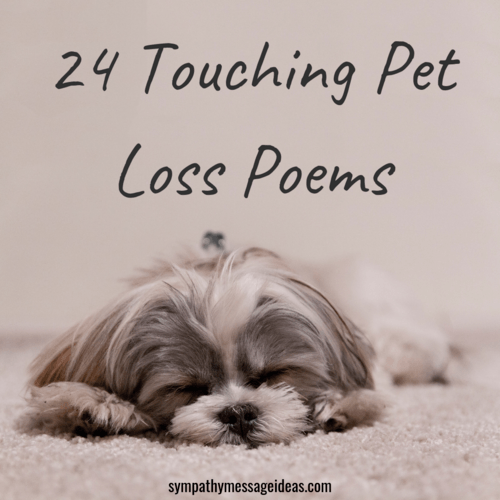 The passing of a pet is deeply moving and will be felt very strongly by their owners. 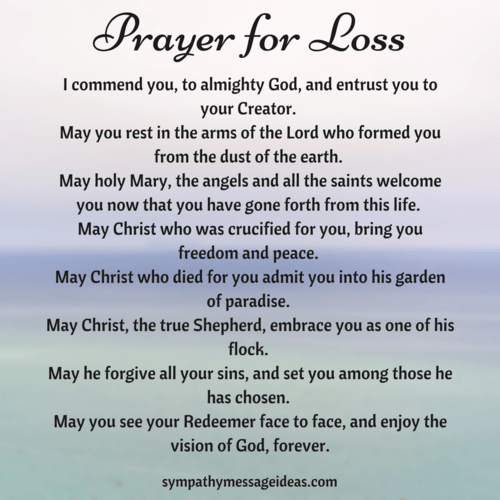 So you should offer your condolences and sympathy in the same way you would any other loss. 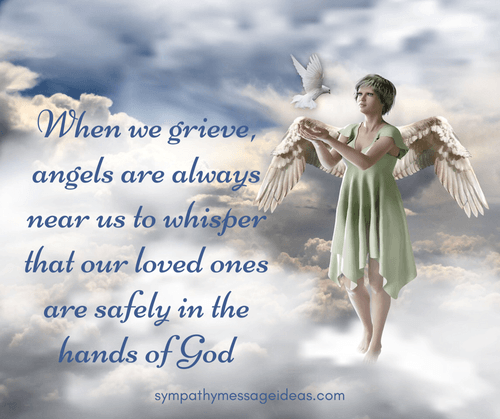 Show respect and understand for the bereaved and their grief. 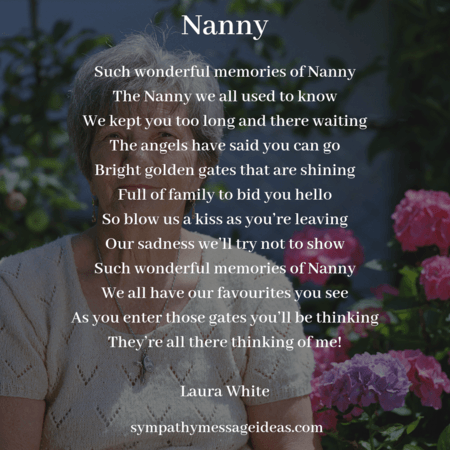 If you make the decision to write your own sympathy message, rather than using one of the examples above, then you can follow some steps to get the perfect wording and format. 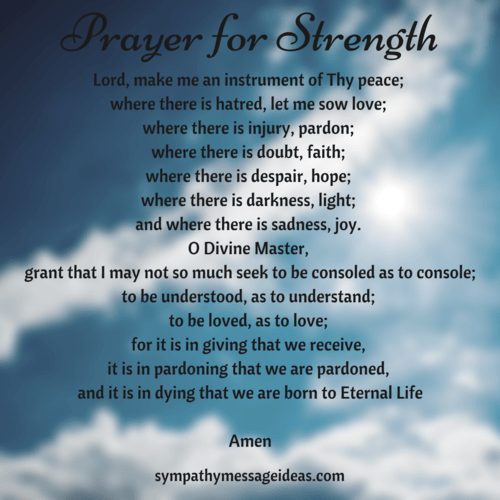 Whilst it may seem daunting trying to find the best words of condolence, it doesn’t have to. 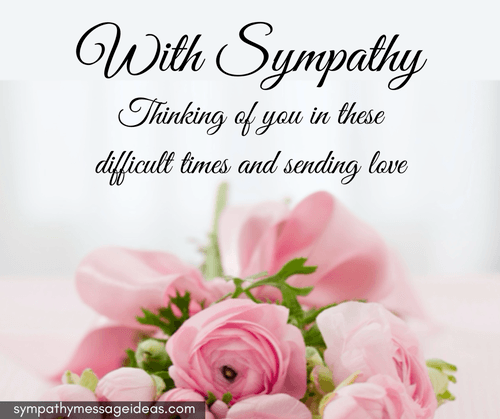 Most people will appreciate the time and effort you have taken to write and send a sympathy card. Even if your words aren’t absolutely perfect, as long as you are sincere and they come from the heart then they will be received with gratitude and warmth. 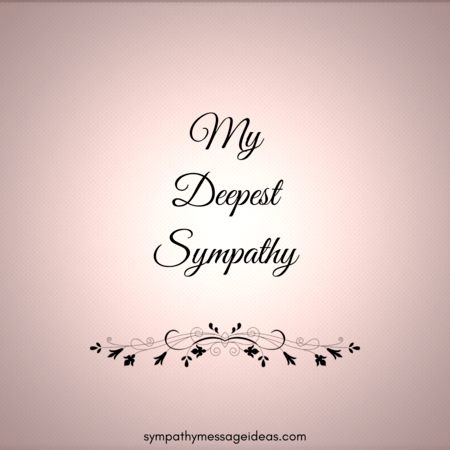 The way you write your sympathy message and the tone you take is determined by who it is intended for. A close family member will receive a very different type of message than an acquaintance. 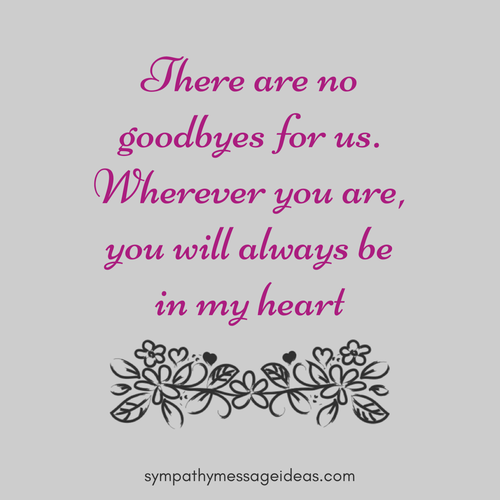 If you aren’t very close to them then a short, simple condolence message is probably best. Avoid being too emotional or sentimental as it could be seen as inappropriate if you aren’t a family member or close friend. The same applies for jokes or anything humorous. If the card is going to a friend or family member then you should be more open with what you say. You can talk about how much you will miss the deceased, what a great person they were, perhaps retell a short story you remember fondly involving them. You will want your message to be positive in the way it talks of the dead, and should be somewhat upbeat rather than focusing on the suffering they are going through. Offering support and an ear to listen when someone has suffered a bereavement is a kind gesture. It’s the sort of thing that should definitely be included in a sympathy card, providing the recipient is someone you know well. Losing someone causes untold grief, but alongside that there are things like a funeral that need to be arranged and belongings sorted. This can be overwhelming for many when combined with the effects of grieving and still having to live your own life (job, children etc). So when sending your sympathy message, if you can, offer to help in some way. Even something as simple as taking the children to school for them or helping with parts of the funeral will be greatly appreciated. 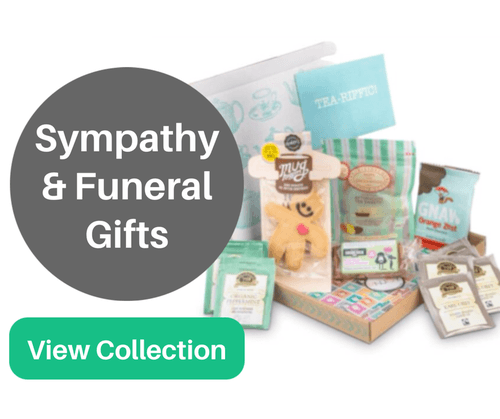 Alongside deciding what to write in a sympathy card there are often questions around the etiquette in sending one. When is the right time to send it? Am I too late? 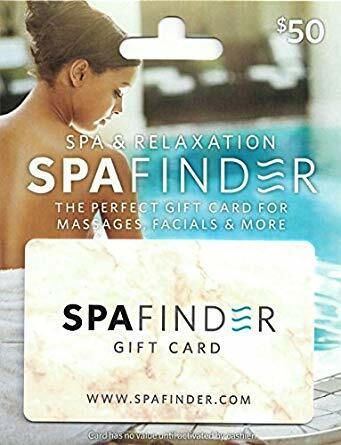 Should I include a gift? And many more. Hopefully the following will clear up any doubts you have and show the best way to navigate those questions. It’s certainly not mandatory and you shouldn’t feel compelled to do so. 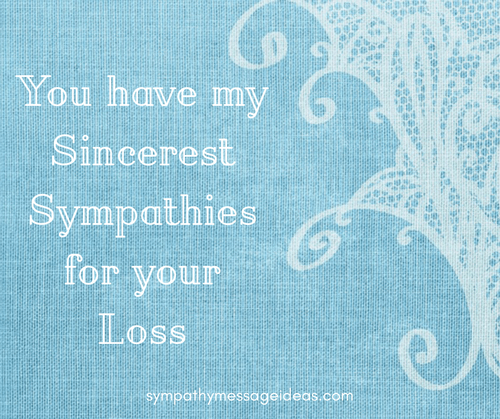 In most cases a sympathy note or card will be more than enough. However, if you wanted to send a bouquet of flowers that would, I’m sure, be very appreciated. 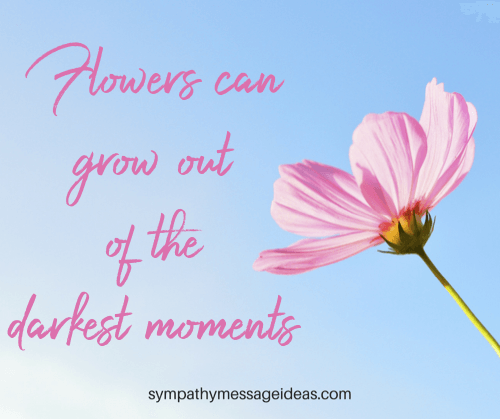 Sending flowers to offer sympathy for a loss is very common so wouldn’t be an odd gesture. 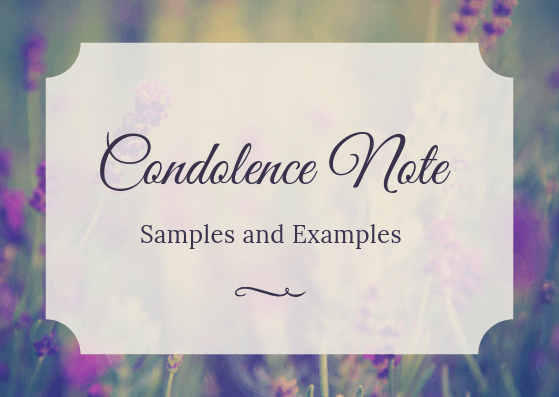 They often come with a small card or note that you could write your message of condolence on. Is an Email/Using Social Media Acceptable? 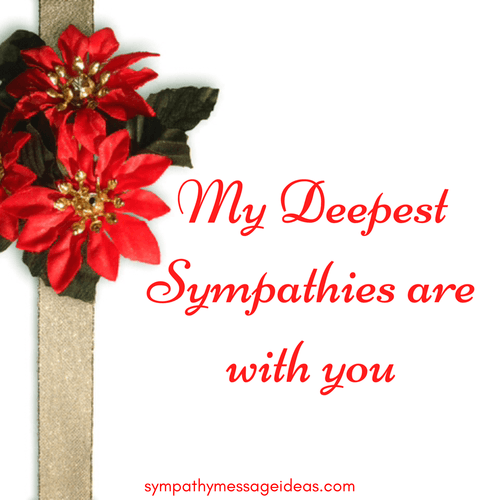 A sympathy card should be the priority. 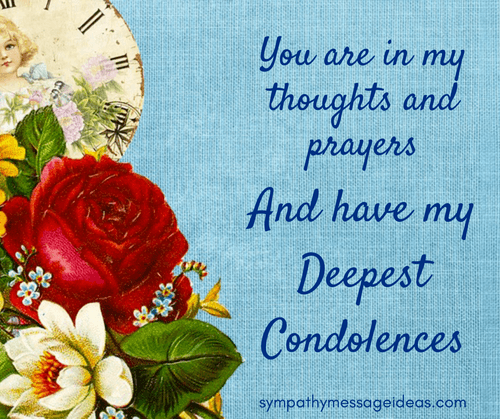 Whilst using Facebook to offer condolences is common now, it is very impersonal. Especially if you know and are close to the deceased or family. Where it may be more appropriate is if you didn’t know the deceased well. But a card will always be more thoughtful. The decision regarding religion will come down to your own judgement. Only you know the recipient and their views towards religion. A very strong atheist is unlikely to appreciate any form of religious message. A devout Christian wouldn’t. Generally most people won’t take offence to words like “you are in my prayers” but anything more than that may make some feel uncomfortable. The best thing to do is if you’re worried then avoid it, just to be on the safe side. In the future it might be quite nice to send an anniversary card to mark the passing. 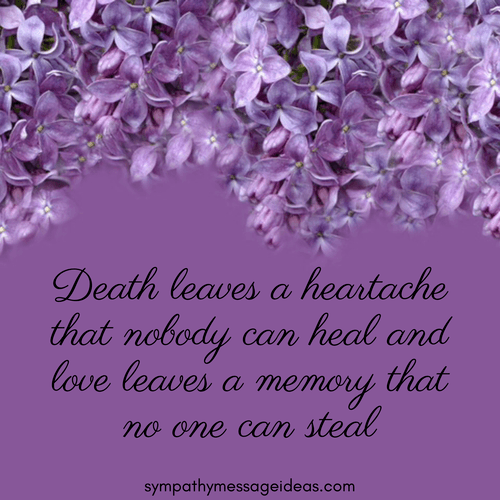 The anniversary of a loved ones death may bring back those feelings of heartache and grief experienced originally. So receiving a card with more words of support and comfort on that anniversary can be very touching. But it will not be seen as rude to not do this. Just that it might be a nice gesture if you remember. 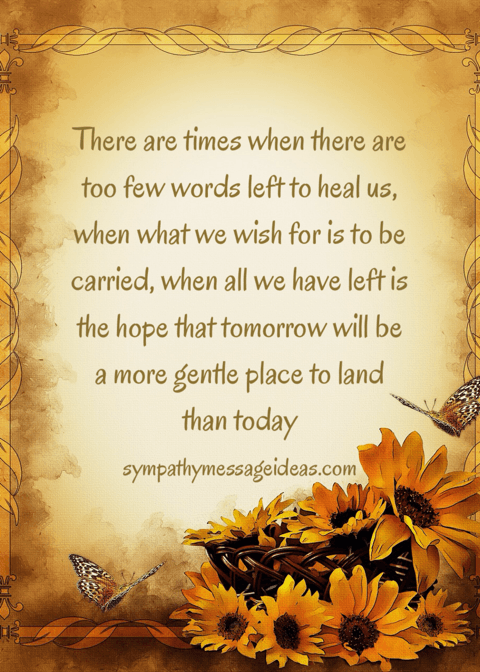 There are some phrases and words you should avoid when deciding on what to write in your sympathy messages. You may end up causing offence without meaning to. Don’t bring up the circumstances surrounding the death itself. 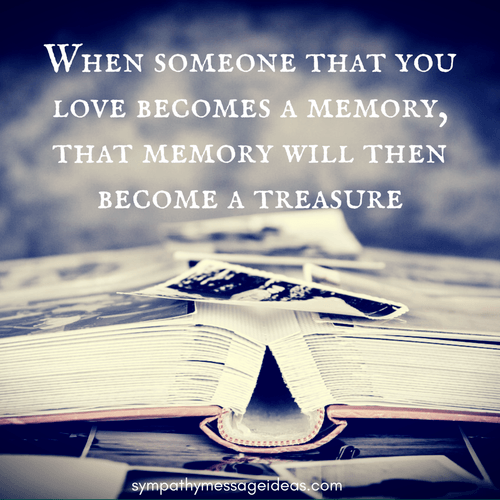 The memory of a loved ones passing is going to be terrible, so won’t want to be relived or reminded of it. Stay away from words like “died” and “death”, as well as phrases such as “it’s for the best” or “it was God’s plan”. 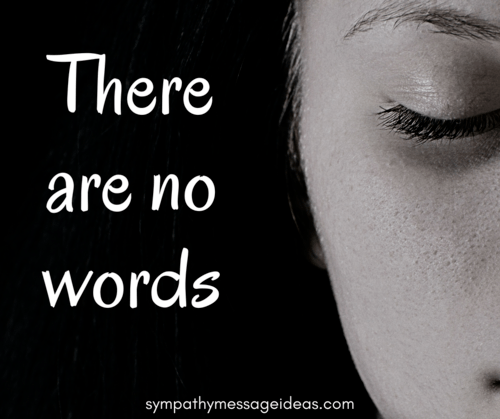 Negative words can be jarring for the recipient and using phrases that presume you know what the bereaved is feeling or what is next for them could come across as very insensitive. Don’t compare your own loss with anyone else’s. 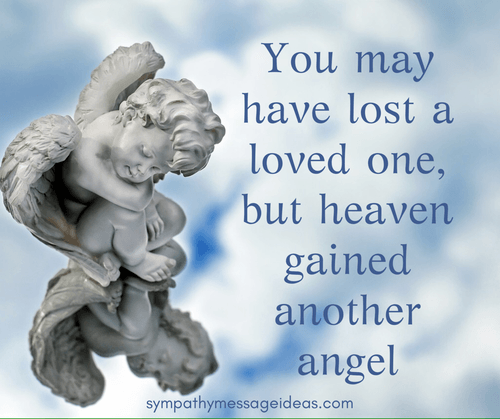 Whilst there may be similarities everyone experiences loss and grief differently. 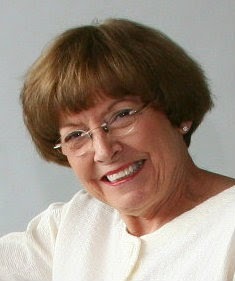 Comparing yours with there’s could be seen as taking attention away from their own bereavement. 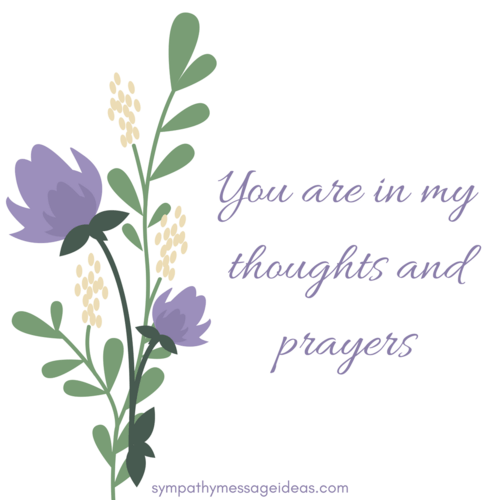 Send a sympathy card rather than using social media or an email. 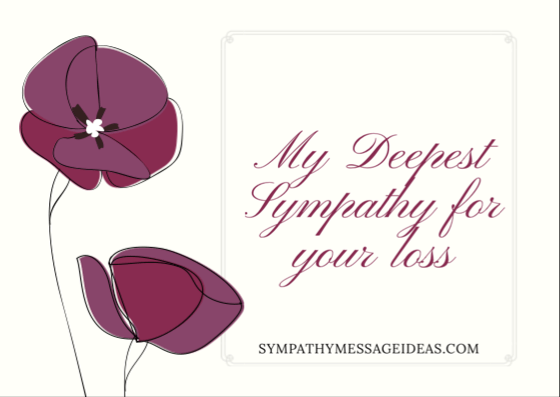 Those aren’t unacceptable ways to offer condolences but a card is much more personal and shows a degree of care and effort that has gone into wishing them sympathy for their loss. 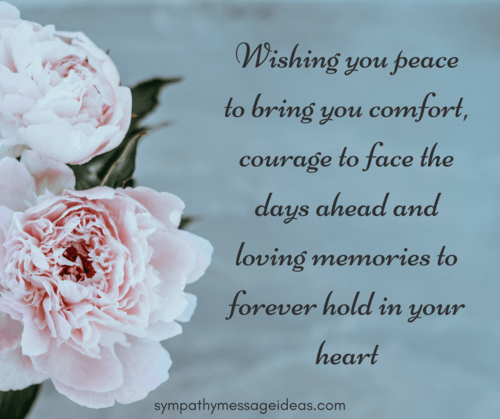 Choosing how to sign a sympathy card will depend on what sort of message you have used and your relationship with the recipient. The most common closing will be a simple, short few words. 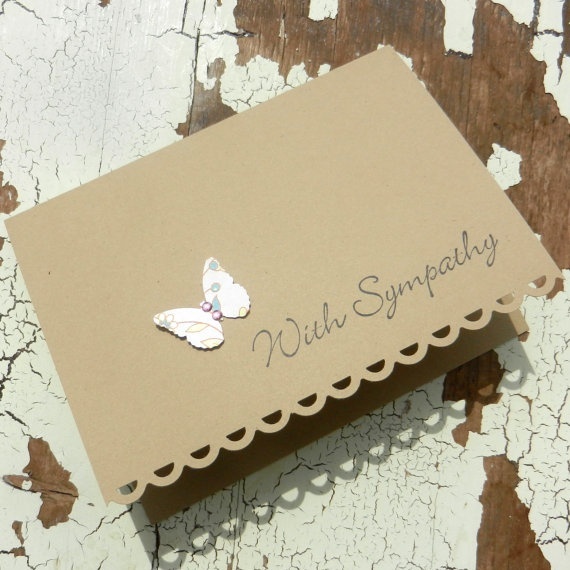 “Sincerely” or anything else formal might not be appropriate for a sympathy card. If you’re close to the recipient, maybe a family member or good friend, then you can include they’re name in your closing or use the word “love” as well. 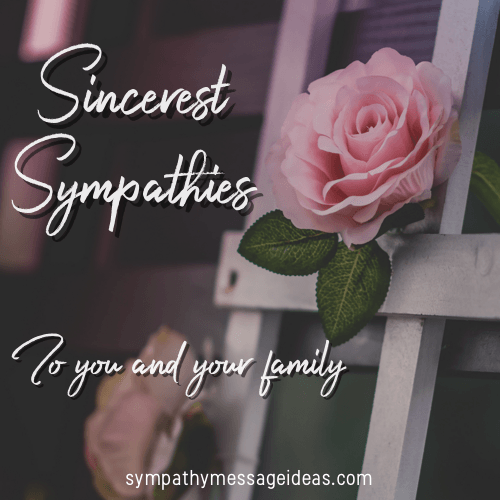 Whether you choose to write your own sympathy card messages or one of the examples provided here, as long as you speak from the heart and are genuine in what you say the exact words won’t matter. Just show you care and that you are there for the bereaved and they will appreciate the gesture. Unfortunately we all experience loss at some point in our lives. 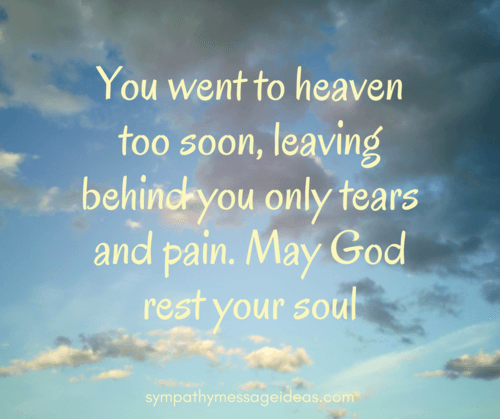 With it comes the grief of losing a loved one and the void they leave in our lives. 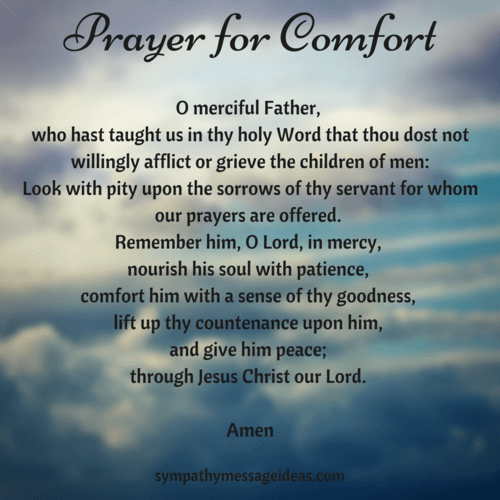 The way in which we deal and cope with that grief though will differ from person to person. But one thing that we all need is the support and help of family and friends. 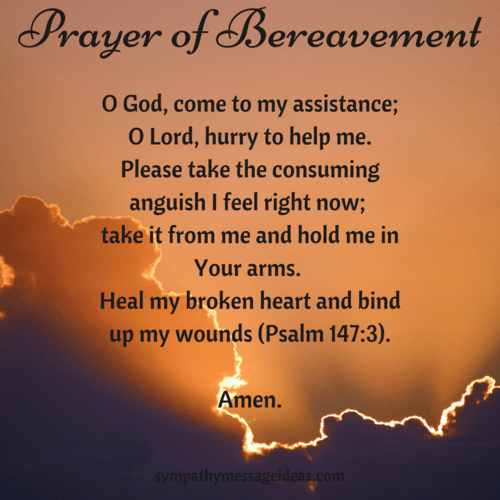 Struggling with a bereavement alone is a burden no one should have to endure. 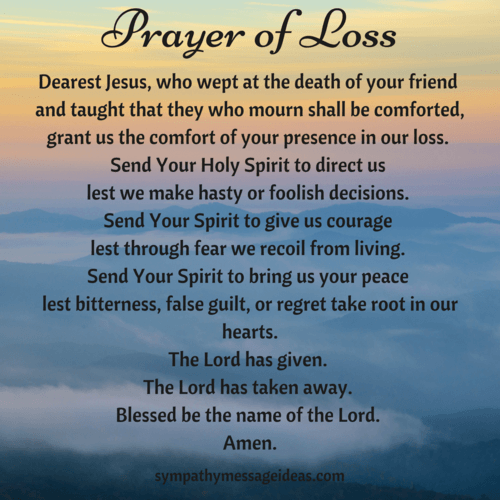 If you know someone coping with a loss it can be hard to know what to do. You want to comfort them, offer support and try to help in any way you can. But knowing what to say or do, what’s appropriate and what isn’t, and how to best be there for them during such a difficult time is itself tricky. In order to try and help understand the right way to approach such a tough subject we reached out to some of the top grief professionals and counsellors and asked them their advice on how best to support someone who is grieving. We were overwhelmed with the responses. 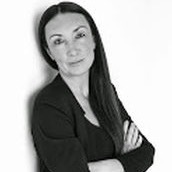 The answers were insightful, practical and went above and beyond in the detail they included. In fact this article is now over 6000 words long (and even has some video content)! 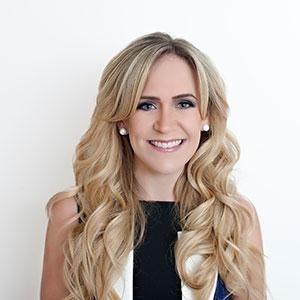 So please have a read of the answers below for a huge range of incredible advice and tips. 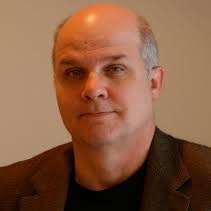 And if you’re looking for extra support or help dealing with grief and loss then a good place to start is the websites found in the author bios of each contributor. 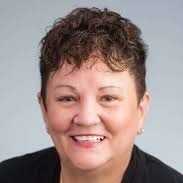 Reaching out/Bringing It Up/Acknowledge The Loss: People often refrain from contacting the bereft because they are afraid of upsetting him or her. Your loved one is already upset—what better time to hear from a trusted friend? I’ve heard so many grievers say they would rather their friends say the wrong thing than say nothing at all. Listen: You can’t take your loved one’s pain away. Your loved one knows this. 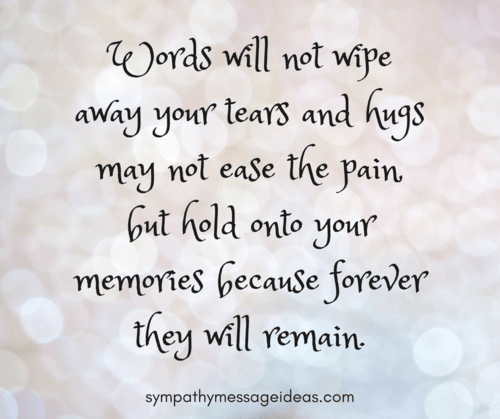 Grief longs to be witnessed and attentive listening is a way to show your loved one that you care. Send a card: Sending a card is a respectful, pleasant surprise for those who may need some space but still want to know they are thought of. 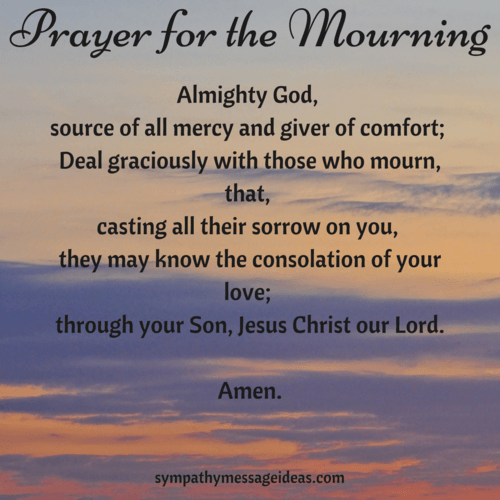 Do this about a month after the memorial or funeral service is over, the loved ones have gone home, and the casseroles have stopped coming, as this is one of the loneliest time for mourners. It’s also nice to send cards on birthdays, anniversaries, and/or any other occasion that may remind your loved one of the person s/he lost. 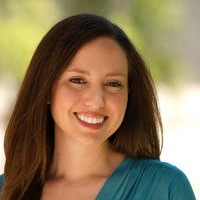 Sharing positive memories: Not only does talking about the deceased validate your loved one’s grief, it connects them with the things they loved most about the person they lost. 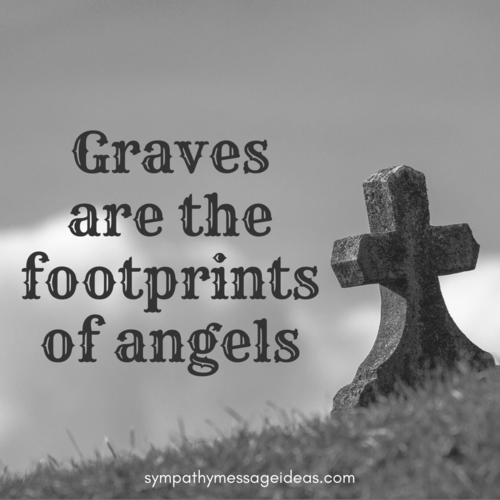 If you didn’t personally know the deceased, encourage your friend to talk about a favorite characteristic, quirk, or memory involving the deceased. Drop off food/flowers: Hunger is a basic sign of our aliveness. 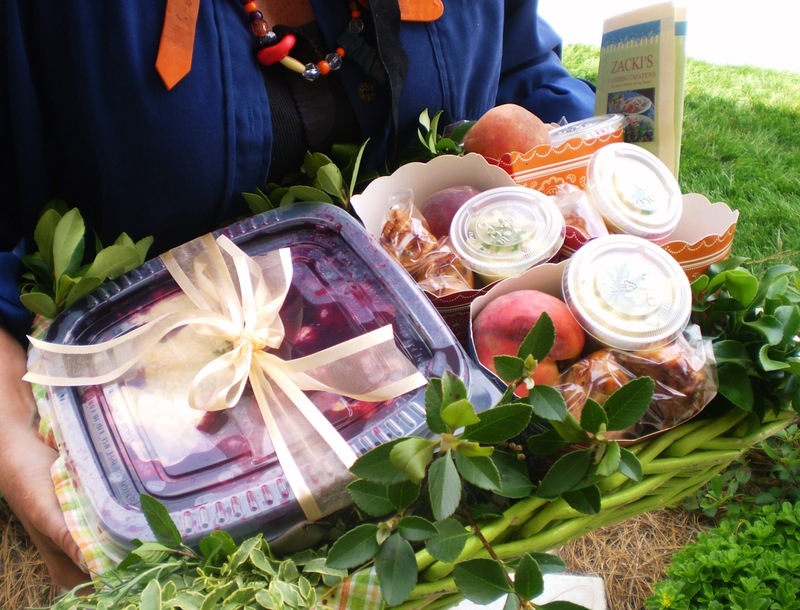 Providing food is a loving way to acknowledge and nurture your loved one’s aliveness when he or she may not be able to do this for him or herself. If your friend associates a certain dish our cuisine with the deceased person, surprise your loved one by dropping that dish off, with a card and flowers. 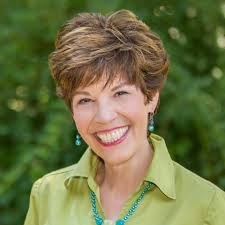 Take nothing personally: Grief is a highly individualized process and has little to do with anyone but the griever. Further, none of us is our best selves when we are acutely grieving. Thus, two of the best gifts we can give mourners are patience and grace. 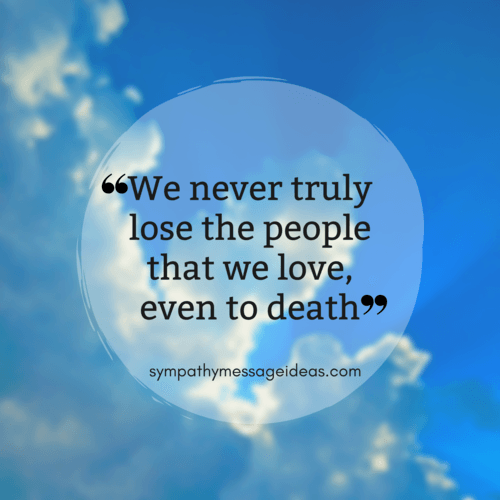 Much of what people do when they are grieving isn’t personal; try not to take it personally. 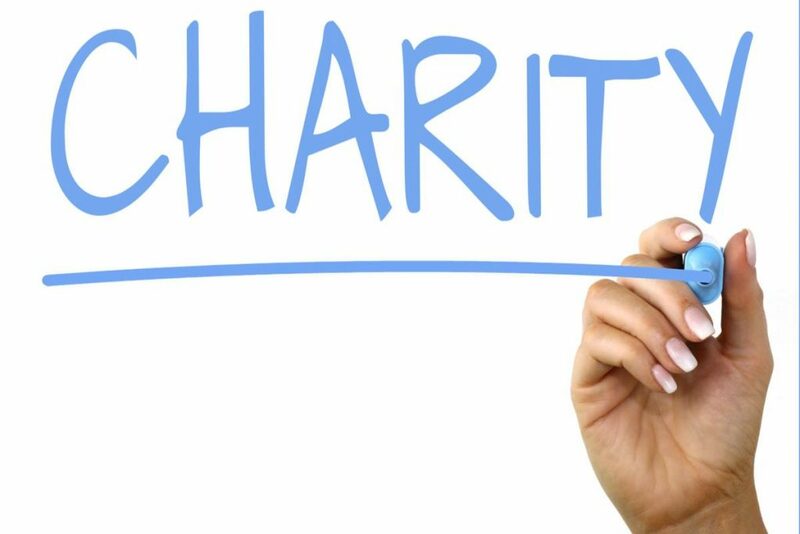 Donations to charity in the deceased’s honor: This is a lovely idea, particularly if the cause also means something to the griever. First, learn about the grief experience, and let go of some of the harmful myths you may have heard about grief and healing. Don’t assume that the person who seems to be experiencing little pain is “doing well” with grief. Take some time to review your own personal experiences of death and grief, recalling who died, what was helpful and not helpful to you, and how you felt about it. Acknowledge the loss. Either in person, by telephone or in writing, let the mourner know who you are, how you became aware of the loss and that you care. Understand the uniqueness of grief: Everyone is different, and is shaped by experiences in his or her own life. Be patient; the grief process takes a long time; let the mourner proceed at his or her own pace. Recognize that, although you cannot take the pain of loss away, you can enter into it with the person and hold space for him or her. Remain available long after the death occurs, when the mourner will need you the most. We are not meant to grieve alone. 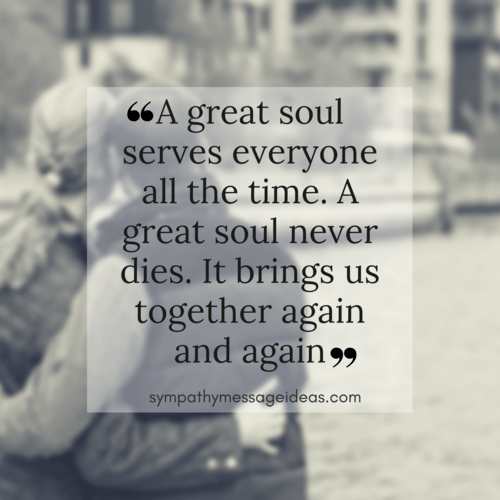 Grief is deeply vulnerable, profoundly raw, and at it’s core a social communication. When we show up for another the most important thing we can offer is our presence. Simply that. It is not necessary to say the “right” thing because there is no “right” thing to say. It is not necessary to have the answer because there are no answers. It is important to simply let the other know that we are there and that we are not afraid. The other needs to know that they do not have to take care of us in their time of grief. Sometimes this involves being there and sitting in silence, breathing or offering a nod of reassurance. Sometimes this involves attending to the needs of the moment. 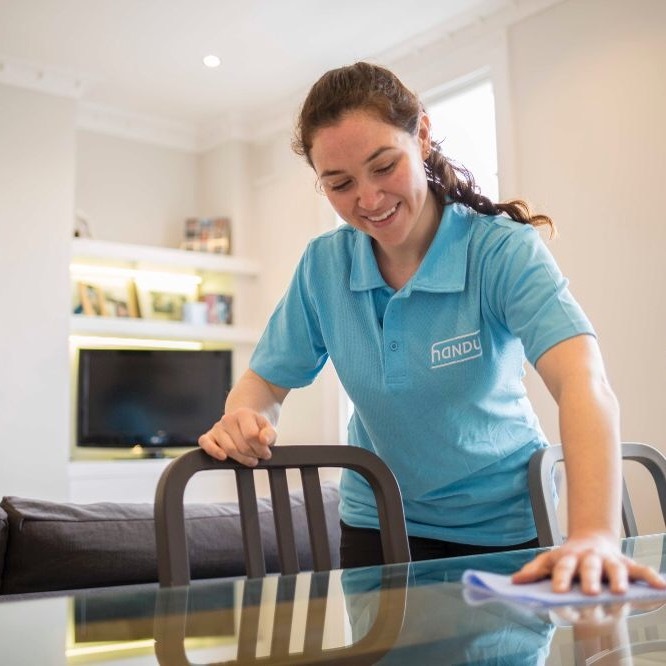 Like doing the laundry or the dishes–attending to the details of daily living by keeping a sense of normalcy and rhythm within the environment. 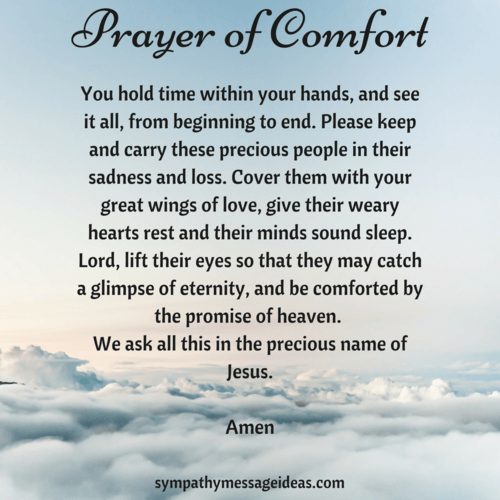 Overall, holding space for someone in grief is about attending to the outer container so that the the person in grief can go on the inward journey needed during this vulnerable time. 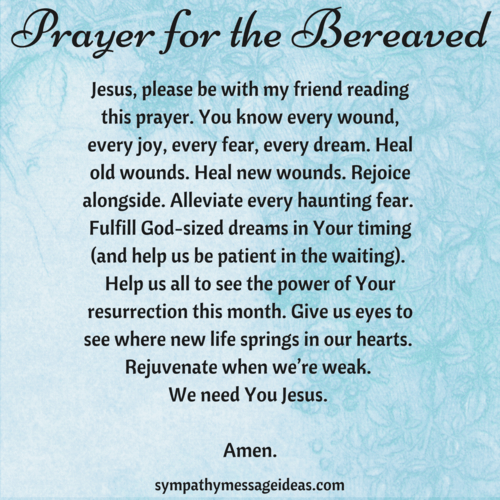 For many of us, the word grief is something that brings up a vast array of emotions from pain and confusion, to discomfort and avoidance. As Americans of the 21st century, we are blessed to live in a country and time that can shield us from the pain and loss frequently felt by others of another time or another place. 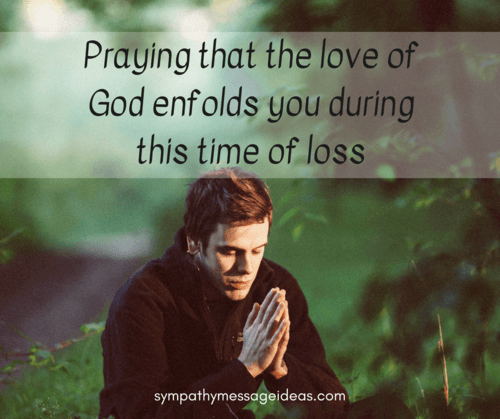 Our great fortunate has allows many of us to live long and healthy lives; however, often leaves us at a loss for words when the tragedy of loss or death does occur. 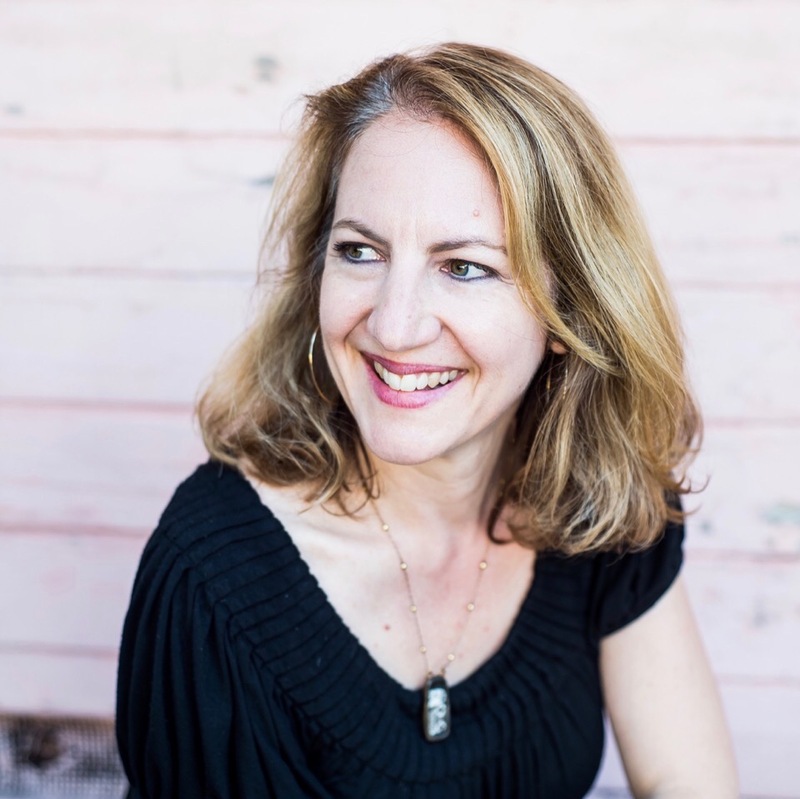 Older theories of grief leave us with a basic framework of loss but fail to paint the real picture of what normal grief looks like or what we can do to help. 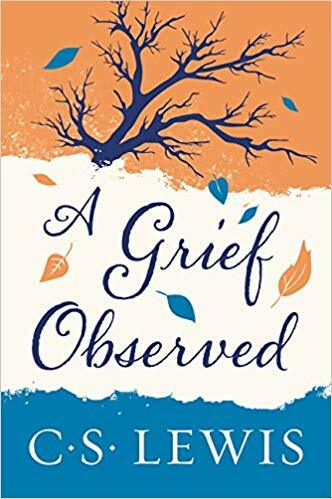 One of the first and most well known theorists on grief, Elisabeth Kubler-Ross, identified 5 stages of grief which she sated we progress through in a linear order: first Denial, then Anger, on to Barganing, leading to Depression, and ending with Acceptance. And while many of these emotions are felt by a grieving person, this cannot begin to capture the true essence of an individual’s process of grief. 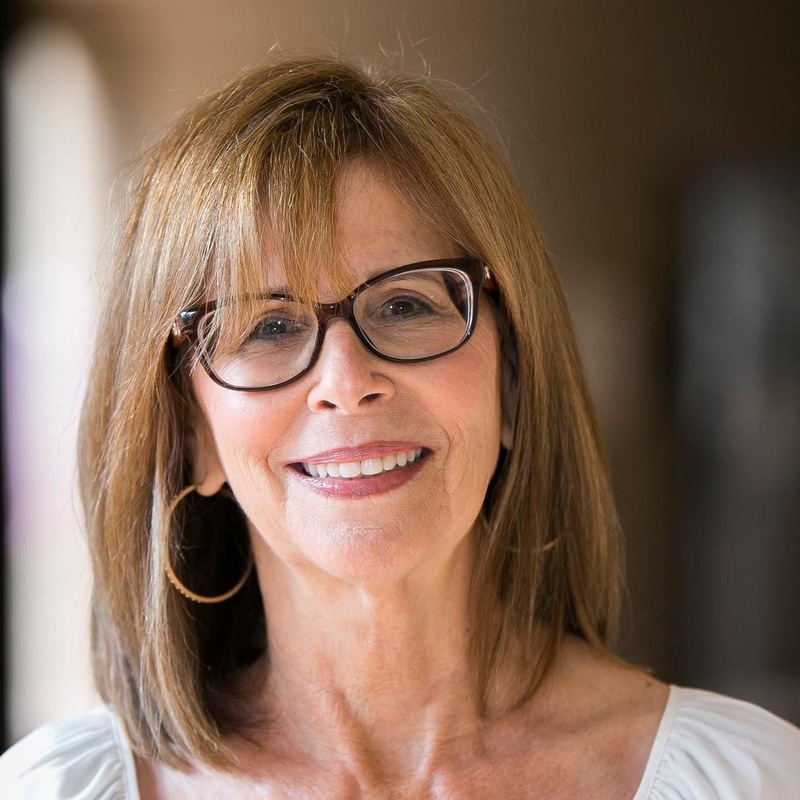 At lease it did not for Dr. Kubler-Ross, who on her death bed expressed the combined feelings of fear, anger, confusion, and peace, a grouping of emotion that only true grief can combine. Like many things in life, grief is complex. 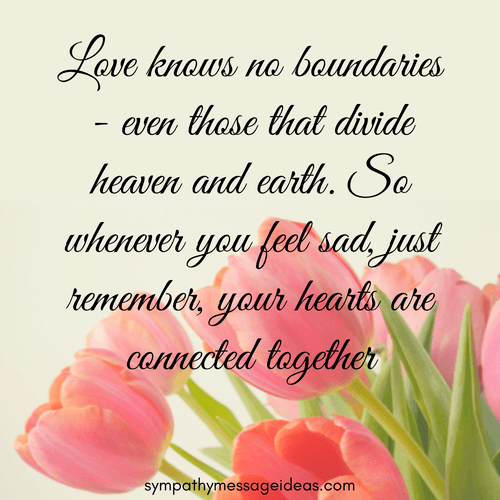 It is an entity with very little edges, boundaries or similar pathways. It comes, it goes, and can surprise us 5 months, 5 years, and even 50 years later. It is a journey that no two individuals can experience in the same way, even in the face of the same loss. Therefore, the question is often raised as to how we can experience this complicated emotion and how can we be there for others going through it. 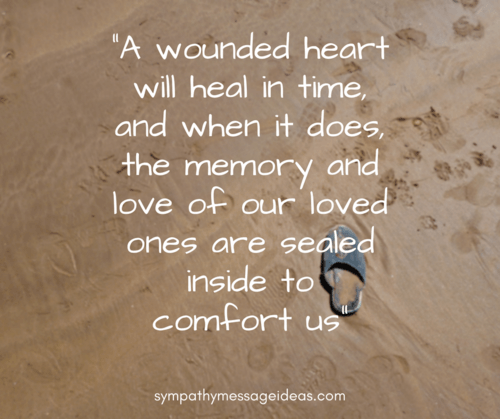 Grief is like a wound. It cannot heal if it is not allowed to air out. Allow yourself and others the space to grieve freely; however that may look and whenever it may come out. Grief takes time. 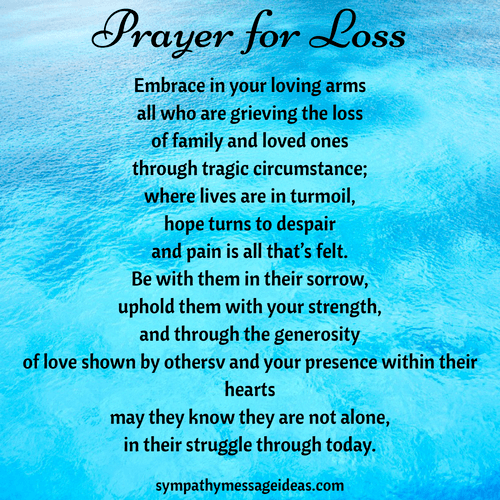 Just about the time we may feel that we are over a loss, we can be flooded with grief again. Like waves washing up onto the shore, our grief may come and go. And like a scar, though healed, will always leave a mark. Grief cannot be fixed. Instead it is a journey that we must go though without short cuts or fast tracks. 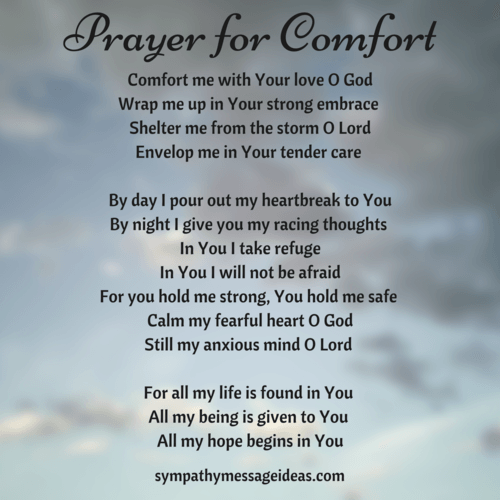 While spiritual sayings, religious scripture, and more positive thinking may feel like the perfect antidote to help people come to terms with the pain of grief, it often times is not. 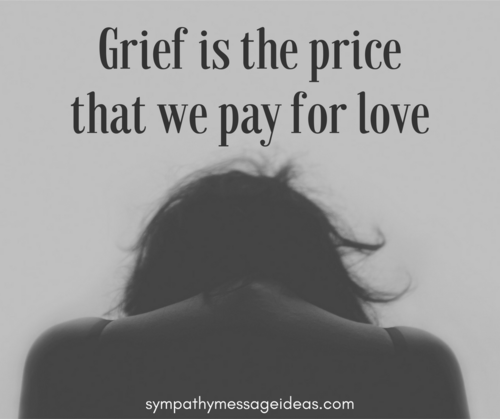 Though these things may be true at their core, when said as a means to bypass grief or damper the tension that true grief brings, it cheapens their meaning and trivializes the feelings of those in pain. Grief is healthy. Grief that leaves us in a state of confusion, plummets us into the depths of sadness, makes us question our deepest beliefs, and shake our fists in anger and rage–this grief is the mark of our humanity, the evidence of our ability to love and lose and love again. Respect its complexity. Sit in its tension. Just listen. Often we do not take the time to reflect on how an individual has impacted our lives and influenced parts of who we are. 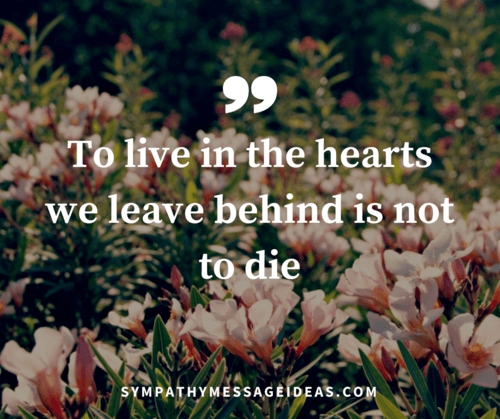 Although our loved one is gone, parts of them remain alive and vibrant in each of us. Many of these imprints may be wonderful and some may be painful too. 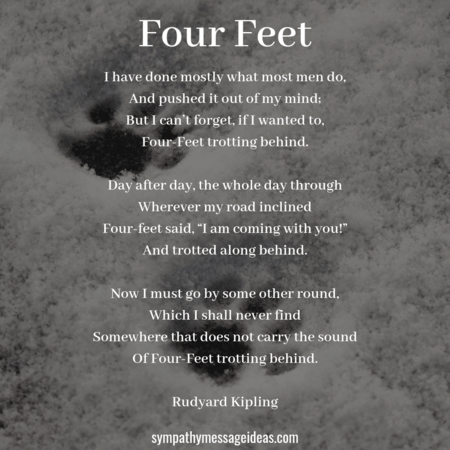 Take some time to reflect on the imprints that these individuals have left on your life in the following ways. Grieving people want and need to feel heard, feel seen, and feel felt. It is so important to hold space for them to share their feelings and speak their emotional truth without judgement, criticism, or analysis. It is difficult for us to witness pain and suffering in those we care about, so naturally we wish to mend those feelings by offering advice or intellectualizing their grief. Instead of saying comments like, “don’t worry, it’ll be okay, “just give it time”, or “keep busy”, we really just need to listen with our hearts and provide a space that is safe to share and express normal and natural feelings. This expression, in a trusting relationship, is an essential key to our emotional healing. It doesn’t take any special skills or training to listen from the heart, it just takes a willingness to let go of the need to make everything better for the other person. Simply offering a hug and saying nothing at all can be a powerful act of love, acceptance, and compassion. 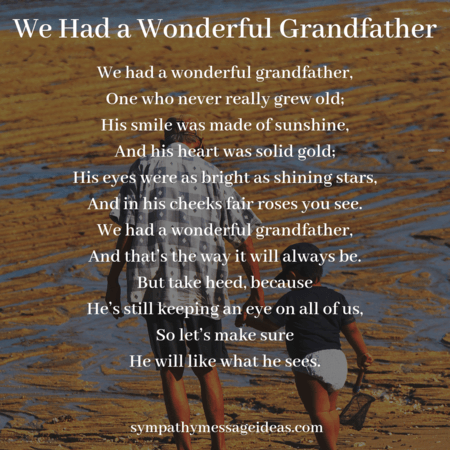 Helping someone who has lost a child, grandchild, or sibling can be very perplexing to others who have not experienced such a devastating loss. Because it is generally a loss that occurs outside of the natural order of life, we ourselves do not know how to tell someone to help us. 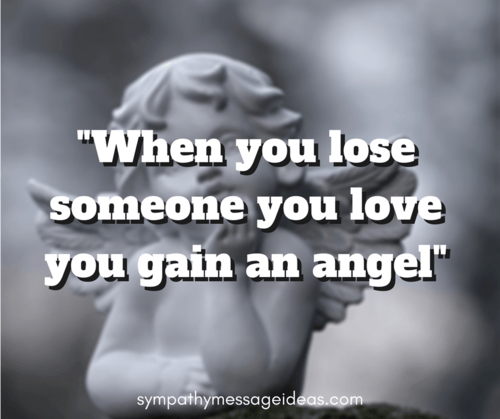 No one wants to think about losing any loved one! But as our grandparents and parents age, we start to plan even though it is nothing we want. You may have experience times when you mind has sidetracked itself wondered how you might take on holidays without the support of our parents or grandparents. But, when someone starts to think of losing a child, one’s mind immediately stops and changes focus as no one ever wants to think about this! 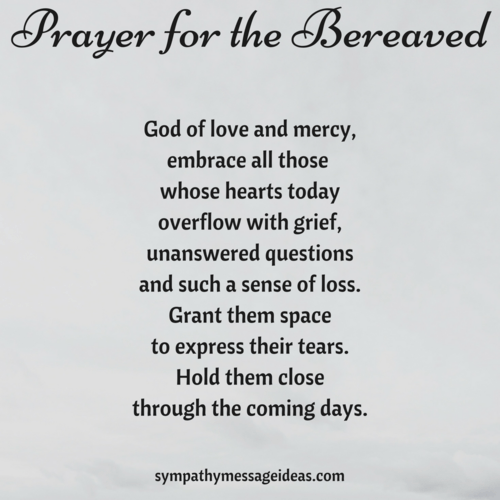 Due to this, all of us are totally unprepared in knowing how to grieve or knowing how to support someone who is grieving. My best advice is to be proactive. If you say, “Call me if you need anything,” you are likely to never receive a call. After my son’s drowning, I did not want to get out of bed. However, life around me went on. The mail started to stack up in the mailbox, the trash needed emptied, and things in the refrigerator went stale. If you are close enough, stop by and explain you are there for only a few minutes to empty trash, tidy the bathroom, and start a load of clothes. If you are too far away, contact one of the many food delivery services, such as Uber Eats or Grub Hub, to provide a warm, already prepared meal. One of the most important ways to support is simply to remember. That sounds like a very easy one but you may not realize all that needs remembered. For example, for over a year every week when it was Wednesday (the day my son drowned) was horrible. For years, I always cringed on the second of every month, the date he drowned. As our mind come to terms with the finality, it you remember these triggers, you can make it softer for us. To do this, make a calendar reminder to send an email, to do a quick text, or to make a phone call. 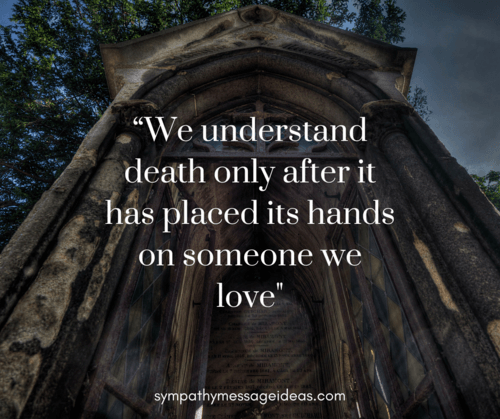 The message does not need to be lengthy but rather simply letting the person know you are thinking of them and the loved one that died. Just be there for the person grieving. You do not have to say anything. It is enough to be present and to offer a should to lean on. Do not be afraid to say their name or to recall a fond memory. We will cry but you are not making us sad. The best present is to say their name! Finally, remember that No One Need Walk Alone. The Compassionate Friends is there to provide support to parents, grandparents, and siblings who have lost a child at any age from any cause. We always say in our Q&As after screenings that the greatest help is when people come alongside us in our grief, rather than trying to make us better (which is often for their benefit so they don’t have to worry for us any more). There is no getting better, it’s about finding a place inside you where your grief can live, as part of you and finding acceptance of that. 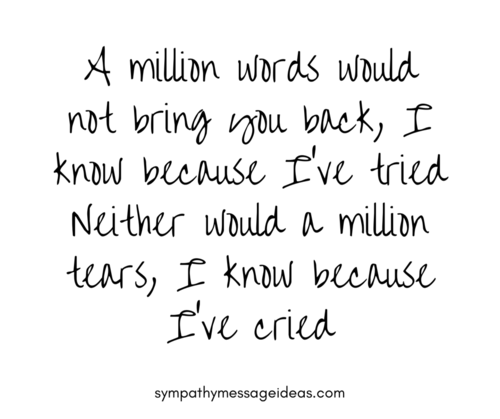 When people don’t know what to say to someone who is grieving they may say nothing at all or offer platitudes, e.g. “Time is a healer”. Or they may not want to bring it up in case it upsets the person they are speaking to, however, we suggest it’s better to not go quiet on loss, and encourage people to say something rather than nothing. Instead of trying to find the “right” thing to say, reach out to someone to let them know you are thinking of them, or to let people know that you don’t know what to say but that you are there for them. If you have any memories of the person who died, it can be really nice for those left behind to hear them. 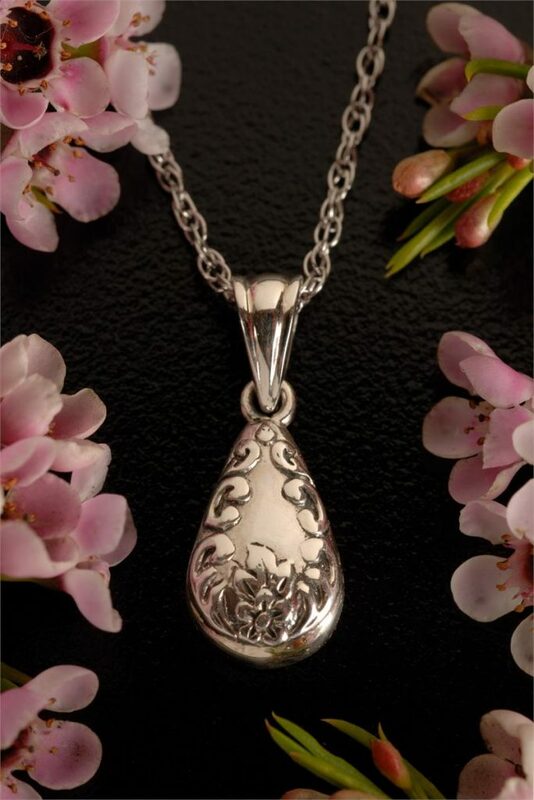 It reminds them that the person they loved lives on in the memory of others. Continue to show up for the grieving person. 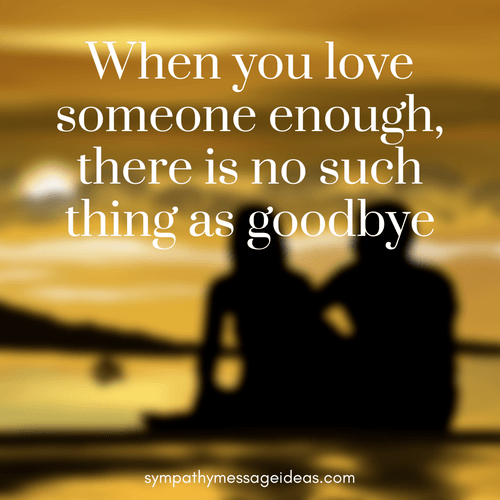 Often times the person who is grieving does not have the energy to reach out or return your call/text/email. Please don’t take this personally. Continue to call/text periodically, but don’t overwhelm. 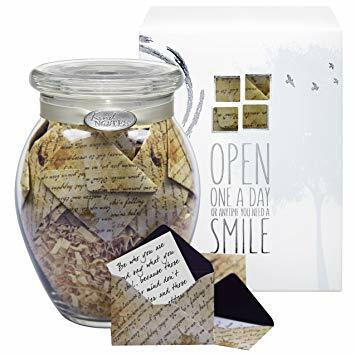 This lets the person know you have not forgotten them and that you plan to be there even after most people have moved on into their day to day lives. You can even write, is it OK for me to keep reaching out to you? Instead of asking “how are you?” You can say,” I am here to listen whenever you are ready.” Or I will stop by on (specific date) and bring some groceries or a meal. 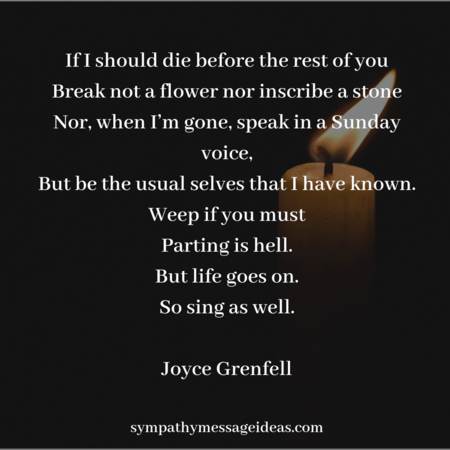 There are times when grieving people need some space and times when they just need someone to be there with them, even if it is to sit in silence. If visiting them is an option, make a point of doing that. If you are bringing them something, let them know it is ok if they are not up for a visit. You can leave your gift or food in their mailbox or in a cooler. Make sure they know nothing is required of them. re-orient themselves enough to figure out how to express their needs. Be patient. 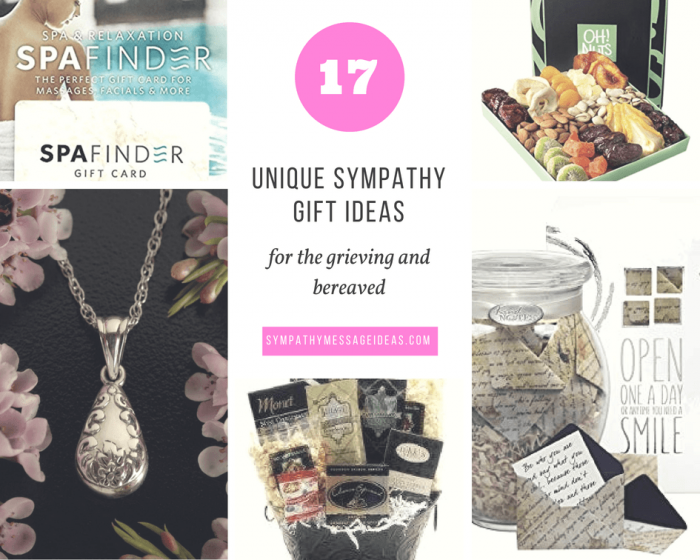 These things offer a simple and very powerful first response to aid those in grief. Invite a grieving person to tell you stories about the person they lost; some ways to encourage those stories are to ask curious questions like: how did you and your loved one spend time together? Did they have a sense of humor? Did they have a nick name for you? What will you/are you missing most about them? Did they have any quirky characteristics or habits? Recognize that grief is a normal healthy response to loss, not an illness we need to cure or fix. Grief comes to everyone uniquely; for some grief comes in waves, for others it shows up in fits and starts, for some it is sadness, for others it shows up as anger, for others it may be a compulsive need to clean or organize; everyone’s grief is different, and their way of grieving is normal for them, even if it’s different than how we would do it. 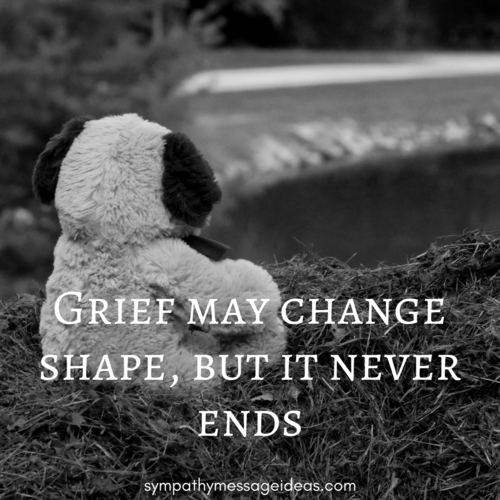 Grief takes time, and for many it feels like the world is rushing them to “get over it” just when they are starting to come out of the initial fog. 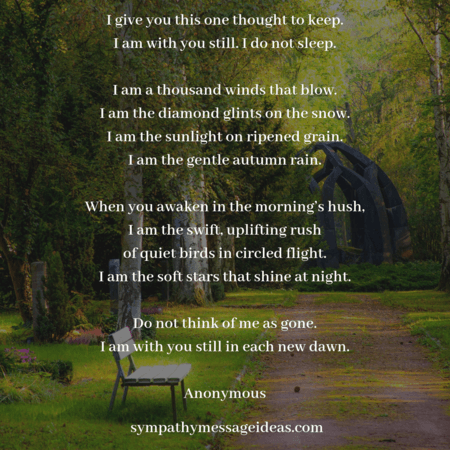 Many people get lots of support in the initial days and weeks after a loss, but they are hurting just as much 3+ months later, and they need us to be able to listen and be present to their sadness and loss, as much as the earlier days. 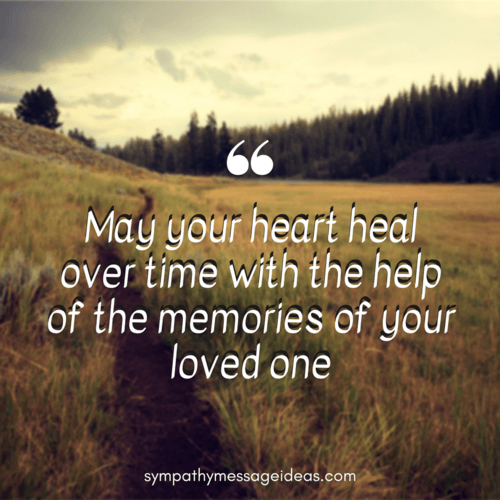 Remember grieving people especially at the holidays, birthdays, anniversary dates – not just the first year after a loss, but consecutive years after a loss. 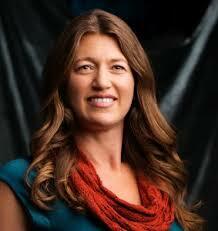 When we lose someone we also lose access to their friends and their work place stories/acquaintances, extended family connections, and other social circles they were a part of and brought to our own lives — sometimes we lose access to social status or our place of residence and other big lifestyle changes – this makes our losses so much bigger than the loss of that individual relationship. 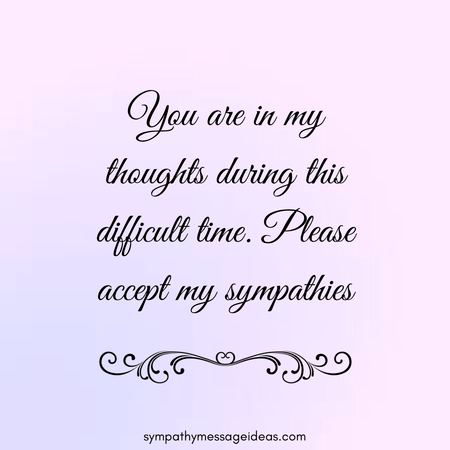 In my opinion, the best way to support a person who is grieving is when you write the note in the sympathy card offer to be there to listen whenever he or she is ready to talk about the death and what emotions are coming to the surface. “It’s okay to feel angry, sad, relieved, hopeless, confused or whatever, so just know that I will be here night or day to listen. I care and I want to help.” You can also tell him or her that you will check-in periodically to see how he or she is feeling, and then do it. Show up and listen. Be quick to listen and slow to speak. In fact, you don’t have to say anything at all. Just your presence is a huge gift. A kind hand on the shoulder, a warm hug, and a compassionate look in your eyes can speak volumes. Don’t try to fix it. This can’t be fixed. Don’t try to make them feel better. You won’t be able to. Instead, put all your agendas aside and, as much as possible, enter their world and walk with them in their grief. Even if you only do this for a few seconds, most likely they will feel cared for and supported. This is one definition of love – meeting people where they are and walking with them in their stuff. 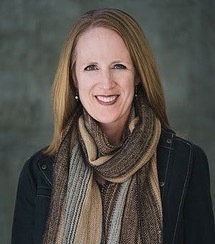 I would not say that I’m an expert on grief, but I do know grief and loss from a very intimate perspective having experienced the loss of my husband at a young age. 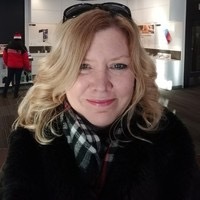 My late husband was a musician and I myself am an artist and arts therapist with close to 30 years of experience working in the language of the arts. When I had to face devastating loss, it was affirmed to me that the arts could help lighten the emotional weight. 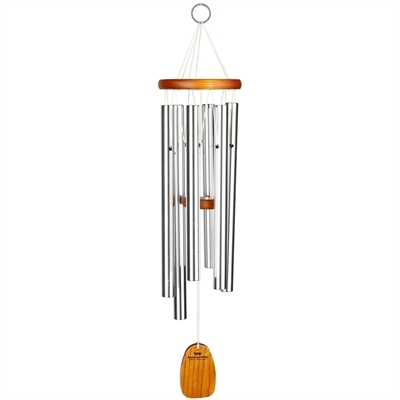 The arts in general can offer release and deepen understanding about life’s most difficult situations by expressing one’s feelings through music, song, paint, poetry, dance. 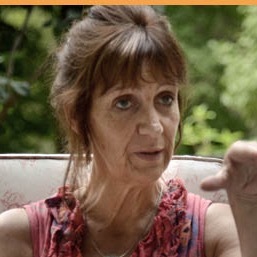 We are given the opportunity through creativity to tell our story of loss with an honest voice. Shakespeare appeals to us as someone who knew grief intimately, “Give sorrow words. The grief that does not speak Whispers o’er the fraught heart and bids it break.” It is important to remember that we are built for loss. It is an inevitable part of life, and if we can find resources to help us move through it, true healing can happen. The arts are an ancient language, primal and accessible to us all. Our modern society often doesn’t respect the time we need to grieve or make transitions, but art helps us get beyond time and ordinary reality. Creativity allows us to listen more deeply to what needs to be felt and expressed. We can take art in through books, poetry, theater, film, or let expression out by journaling, drawing, dancing, singing and the list goes on. Art has never let me down; it has been a safe and steady companion through life, and a refuge in grief. In our North American culture we have been socialized as a society to believe that life is about “getting” things. Regardless of the education or experience the majority of us have not been taught or prepared to deal with “losing” things. 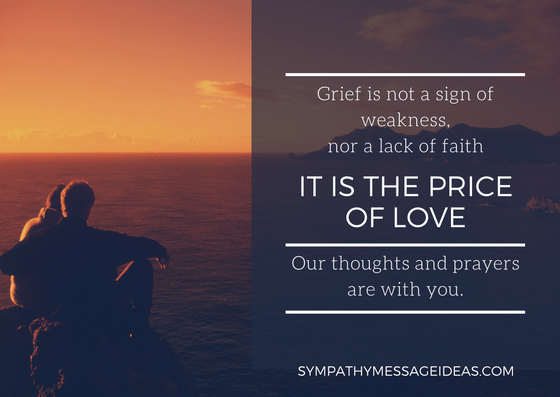 We fail to realize that grief is emotional and we do our best to support others from an intellectual perspective. While the cause of the loss is intellectual. To the person who is affected it is 100% emotional. It is not their mind that is broken it is a heart that is broken. Grief is a normal and natural reaction, the feelings you and I have following a loss are also normal and natural. The problem is we have all been socialized to believe that these feelings are abnormal and unnatural. We are supported with tools that were never designed to move individuals through their pain to the other side of their grief. The most important thing to understand is that there are not stages of grief that every griever will experience. 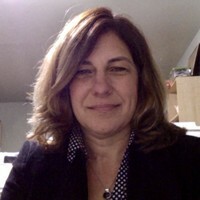 Each and every broken relationships will be grieved on an individual basis based on the griever’s unique relationship with that person. 4 out of 5 things grievers hear after a loss are not helpful. A study released in 1984 concluded that there are 141 comments that are so common that there is a 95% chance that a grieving person is likely to hear most of them within 72 hours of the death of a loved one. Of these 141 comments only 19 comments are actually helpful because they are being offered from an intellectual perspective. I can’t imagine how heartbreaking…that must be for you? In the end grievers just want to be heard. The best support you can offer a griever is to be “a heart with ears”. No criticism, suggestions, or analysis. Just simply to listen, for as long as it takes. Sometimes just a display of affection, a hug, holding their hand, offering a shoulder to cry on, is more powerful than anything you can say. Instead of saying, “call me if you need anything, I’m here for you” just show up. Be there without them having to ask. Bring them food, mow the lawn, observe what they need help with and make sure it gets done. Recruit friends and neighbors and assign tasks. This way everyone feels they are doing whatever they can to express their love and concern. 1. 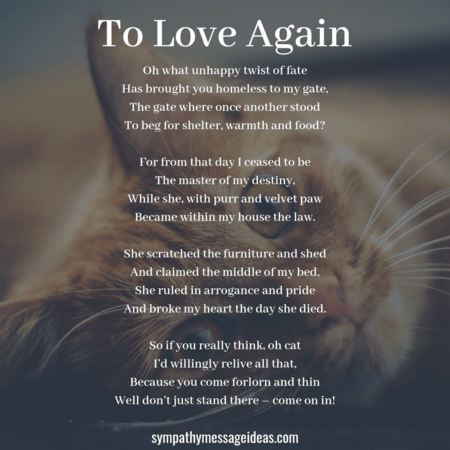 How long does it take to recover after someone you love has died? 3. Do you think it’s better to mention the deceased’s name to the grieving person or to avoid mentioning the name so that you won’t make that person cry? 4. 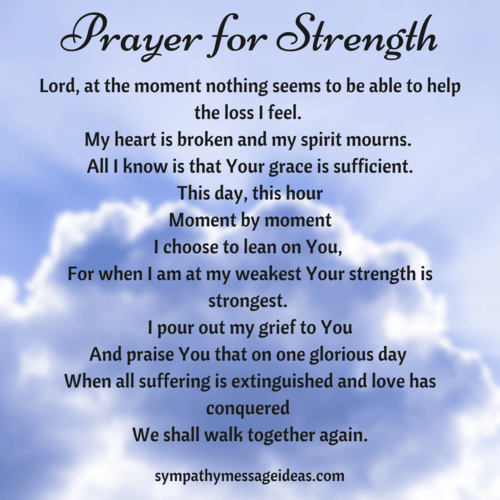 Do you think it’s a good idea to tell a grieving person how strong they are? 1. I am not strong. I’m just numb. When you tell me I am strong, I feel that you don’t see me. 2. I will not recover. This is not a cold or the flu. I’m not sick. I’m grieving and that’s different. I will not always be grieving as intensely, but I will never forget my loved one and rather than recover, I want to incorporate his life and love into the rest of my life. That person is part of me and always will be, and sometimes I will remember him with joy and other times with a tear. Both are okay. 3. I don’t have to accept the death. Yes, I have to understand that it has happened and it is real, but there are just some things in life that are not acceptable. 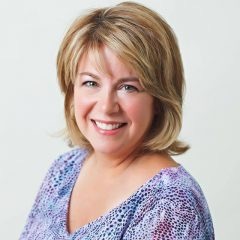 (b) Offer to take my children to a movie or game so that I have some moments to myself. (c) Send me a card on special holidays, birthdays (mine, his or hers), or the anniversary of the death, and be sure and mention her name. You can’t make me cry. 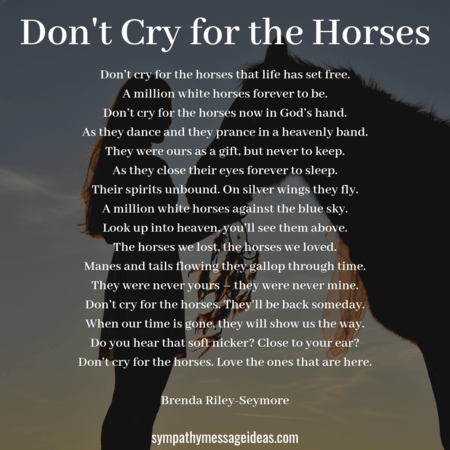 The tears are here and I will love you for giving me the opportunity to shed them because someone cared enough about me to reach out on this difficult day. (d) Ask me more than once to join you at a movie or lunch or dinner. I may say “no” at first or even for a while, but please don’t give up on me because somewhere down the line, I may be ready, and if you’ve given up, then I really will be alone. 1. Take 3 minutes to sit in silence and breath filling your heart with love before you knock on the door to visit, send a text, make a phone call, make a meal or write a greeting card. 2. 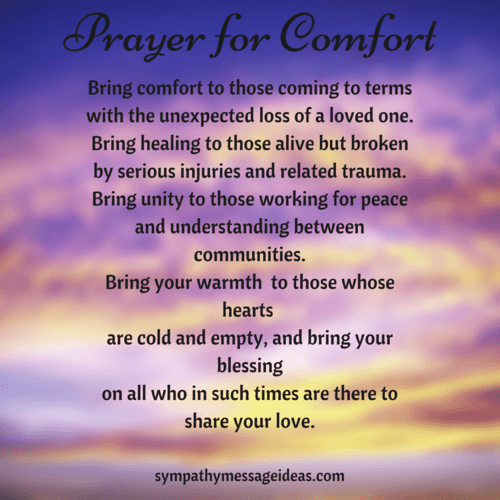 REMEMBER… Grief is NOT a disease to cure or a problem to fix. It is NOT a life sentence. 3. Then ask in person, phone or text, How are you in this moment? Remember this is the ONLY moment we have. 4. Then listen and reflect. For example. They say: “Exhausted.” You reflect” Yes, grief IS exhausting.” They say “Oh this hurts so much.” You acknowledge their pain with ” Yes, this is SO painful.” Simply BE with them. Present to them. This is THIER process and you are there because you love them and you, too will grow from this. 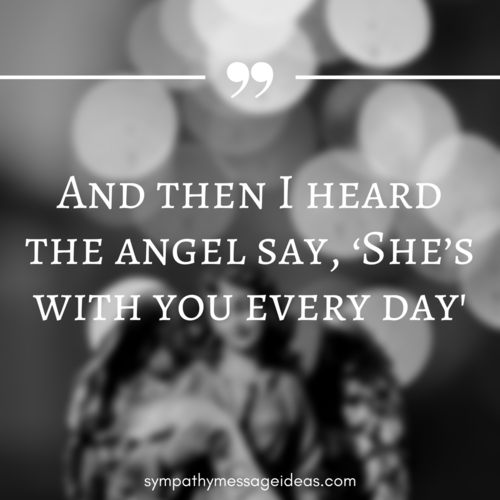 The most helpful way to support friends and loved ones grieving a loss is by being present. 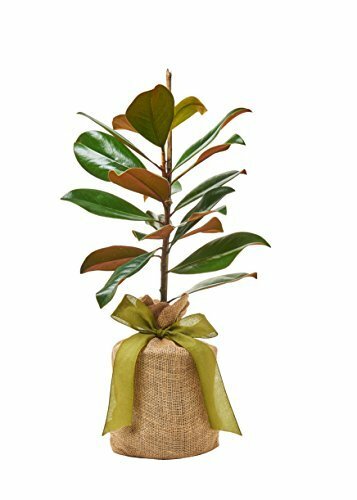 Show up for the funeral or memorial service and the luncheon, reception, or Shiva following the service. 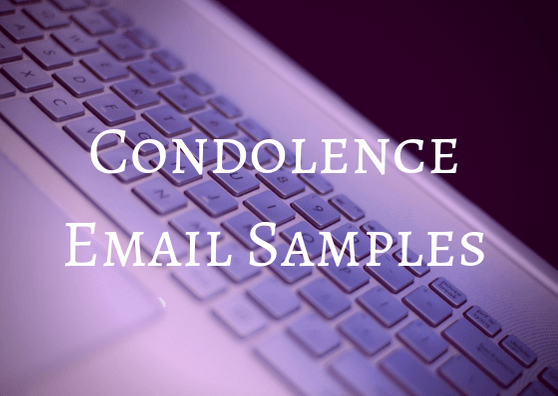 Maintain a presence in the life of the bereaved through emails, phone calls, visits, and notes. 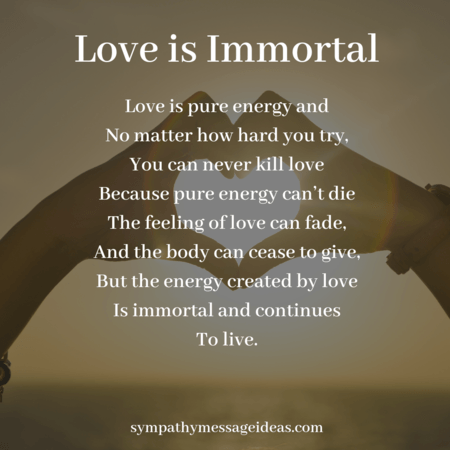 If you can sustain a presence in your friend or loved one’s life, you will not only help them mourn their loss, but provide a continuum so your relationship will survive this life-altering experience. 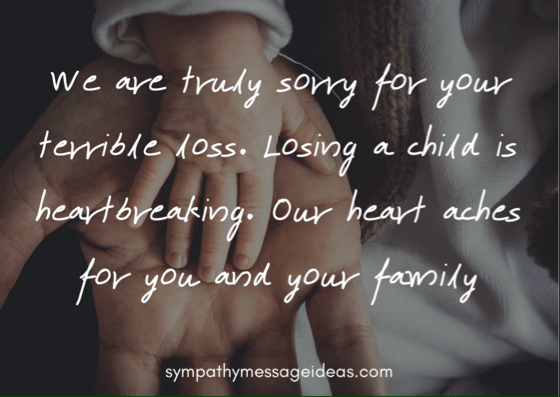 What I often hear clients tell me is that responses such as “I am sorry for your loss” fall flat because the person grieving does not want or need others to be sorry. 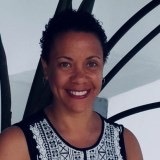 People who are grieving sometimes simply want and need another person’s presence and company, a non-judgemental ear to listen to them, and the patience and respect of others to allow the grieving person to take as much time as they need before “jumping back into” the normal swing of things. 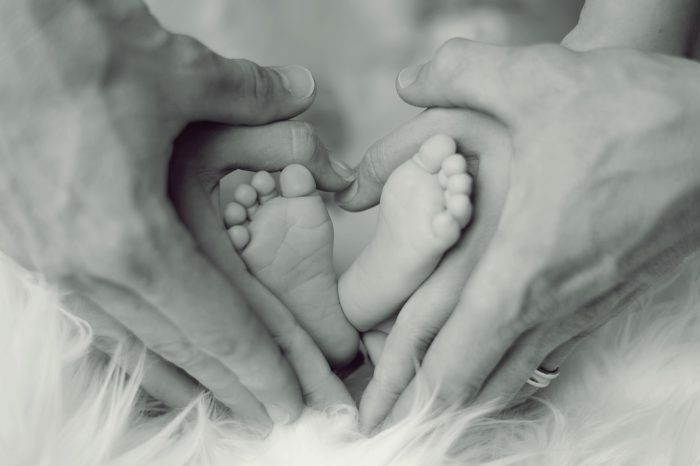 Grief is our natural reaction to loss and can include a whole succession of feelings and emotions. Some people may experience feelings such as shock, denial, anxiety or confusion. Other common emotions include anger, blame, guilt and regret. Sadness and depression can leave us feeling isolated and alone. Others may even experience a sense of relief after a death. 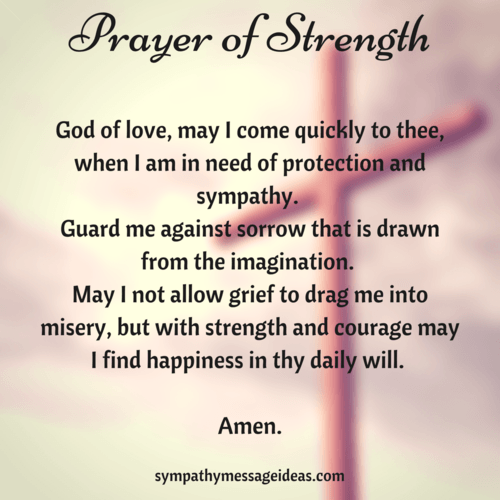 As part of our grief, we may also experience physical symptoms such as insomnia and muscle pains. 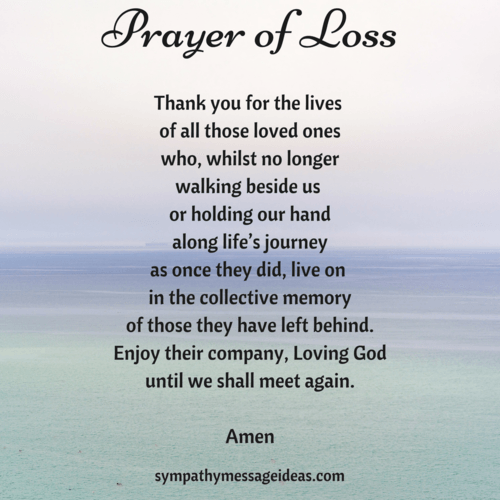 For many, coping with losing a loved one is the most distressing experience we will ever face. Grief is a very personal journey, which cannot be hurried. Being with an individual and offering support to someone whilst they manage their feelings and emotions can be invaluable. Remember that there is no particular ‘time-frame’ that someone should follow to ‘get over’ their grief. 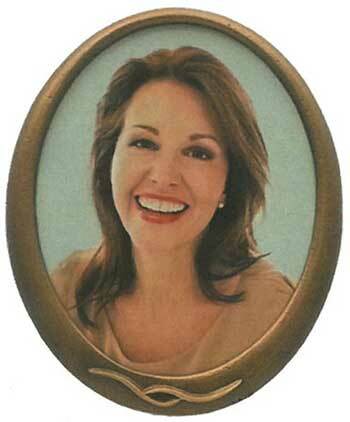 Make yourself available – the feelings above are a normal and unpleasant part of grief. By helping that person accept their thoughts and feelings and confide in you, it can help them to work through their emotions. 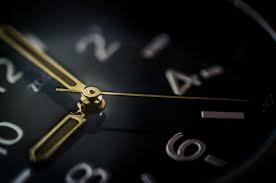 Be sure though to watch your time boundaries, as you cannot be with someone all of the time. Empathetic listening – if a person has taken the time to share their personal feelings with you, be open to their perspective and attend to the conversation at hand. Make the effort to seek to appreciate how they are feeling and try not pass judgement. 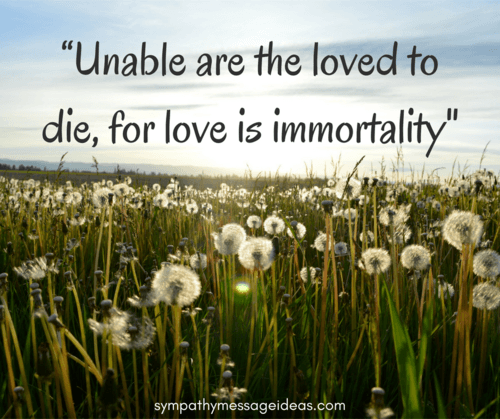 Normalise grief – dispel concerns that something is wrong with how that person is grieving. There is no right or wrong way to grieve and everyone deals with death differently. As strange as some emotions may seem, accepting and recognising those feelings can help people learn from them. Signpost to support – there are many organisations which can provide helpful support to anyone experiencing grief or supporting someone through bereavement. Organisations such as Cruse Bereavement Care (England, Wales and Northern Ireland) and Cruse Bereavement Scotland, offer advice and guidance. Self care – remember to make time for yourself. It can be emotionally exhausting to be a close support to someone who is grieving, so it’s important to look after yourself during this difficult time too. When someone in your family or friendship circle experiences a death, there are several things you can do to be supportive. 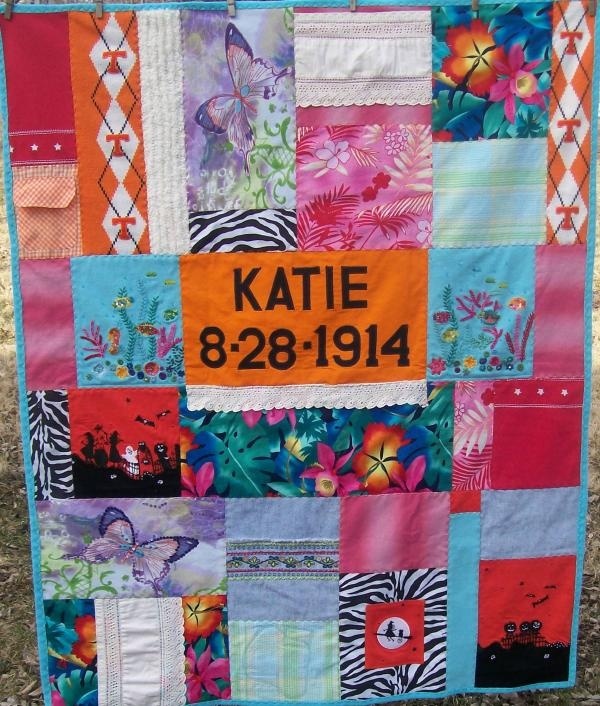 Consider your personal grief history and how it influences your perspective on loss. Be careful not to assume that your friend or family will feel exactly as you do now or like you did in a similar situation. Follow the lead of the grieving person. The person experiencing the loss will give vague guidelines about how they want to express themselves. Do not be afraid to ask about their loved one or speak their name. If the friend is not talking about loss, don’t assume the loss has not affected them. Reach out and show affection. Let them know they are loved and cared for. 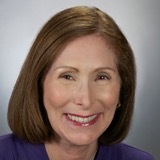 Offer your presence and support as the person experiences their individual grief response. 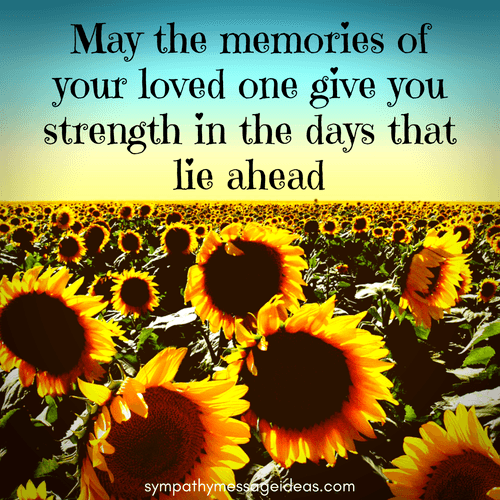 Encourage your family member or friend to share their memories and feelings. Track and honor significant dates and holidays. Be honest and loving in responding to questions and conversations. Provide opportunities with your family member or friend for silence, talk, creative outlets, and movement. Offer help in a specific way (i.e. “Can I walk the dog or help with shopping?) Allow time to grieve, and then more time. Provide resources for support groups. Allow and encourage questions- it is okay to not have answers. You cannot fix it. Just being there to support them is enough. My summary of the best way to help a grieving person is ‘show up, shut up and shower’. In other words have the courage to be in touch and visit, listen to what has happened and is going on for them, and shower them with practical help and good things. 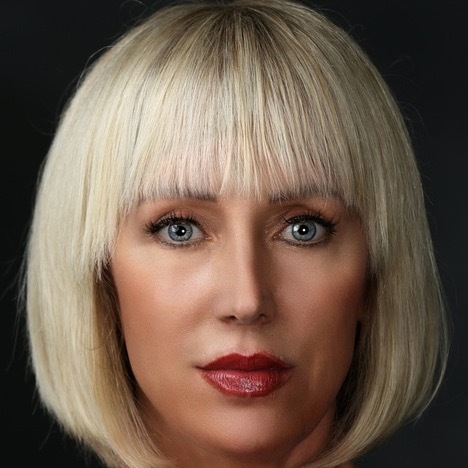 Asking the person what happened and listening to their story will help them to process their loss, and by being there for them and journeying with them (for as long as it takes) with loving thoughts and care, you will help them to get through the hardest of times and enable them in due course back on their feet. Also, tell them early on about the AtaLoss.org’s website, which signposts the bereaved to appropriate and local support services (www.ataloss.org). 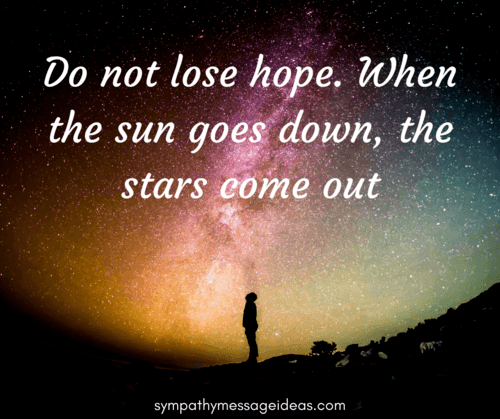 Grieving people need to understand what they’re going through and find others who have survived their situation if they are to have hope. When it comes to finding the perfect book, journal, DVD, or CD to help you through the grieving process, I believe, knowledge is power. Stories, or facts about grief, can be healing and can give you the supportive information you need to find the light at the end of the tunnel. 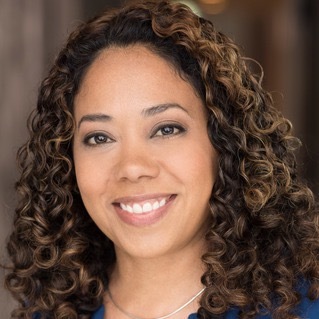 If you are not sure where to start, I have compiled a list of questions you can ask yourself while searching for information, support, and hope through resources of all kinds. Do you want to dive into a good book or start off with a little bit of help at a time? Do you find comfort in personal stories or just supportive information? Do you want real information from someone who has been through it? Or do you want to know the facts about grief? Certainly, you don’t have to limit yourself to just books. Journals are a very healing way to write out your feelings—you can put the memories you don’t want to forget on paper. Or, maybe you don’t feel like reading at the moment. You might prefer to watch a DVD about a an individual who survived an unthinkable tragedy and has somehow found the strength to carry on. 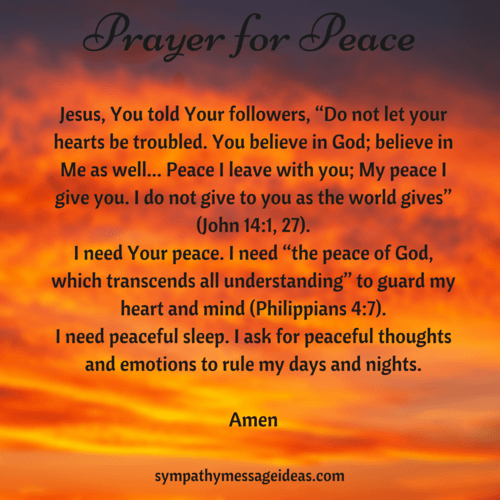 If that is too much to think about, a relaxing CD designed to help those who are grieving, written and composed by someone who understands, might be the right choice for you. 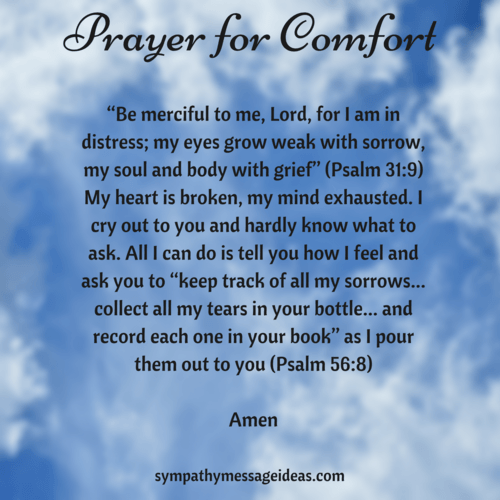 The great thing about having some selected grief resources at your fingertips is that they are available to you 24/7. And, if some of the content inspires you, you can go through it as many times as you need to during the day or at 3 am when you can’t sleep. Be there – it may seem obvious but just being present and with the person grieving, offering a shoulder to lean or cry on is so important. Throughout all of the professionals advice this came up time and time again. If you take one piece of advice away from this that should be it. 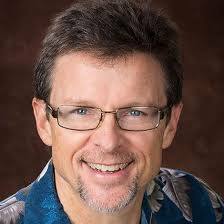 Listen – listening was almost as universally recommended as being present. If it’s sitting in silence or offering an empathetic ear, just let them express themselves and be there to listen, in a completely non judgemental way, to whatever it is they need to say. Offer Help – being there to help with the day-to-day normality of life that has to carry on whilst they grieve is also so important. Offer to help with things like the cooking, or alternatively bring some food for them. 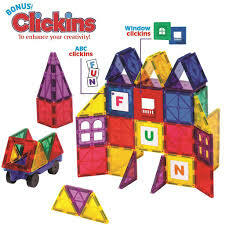 Run some errands that need doing, offer to pick up their kids from school etc. 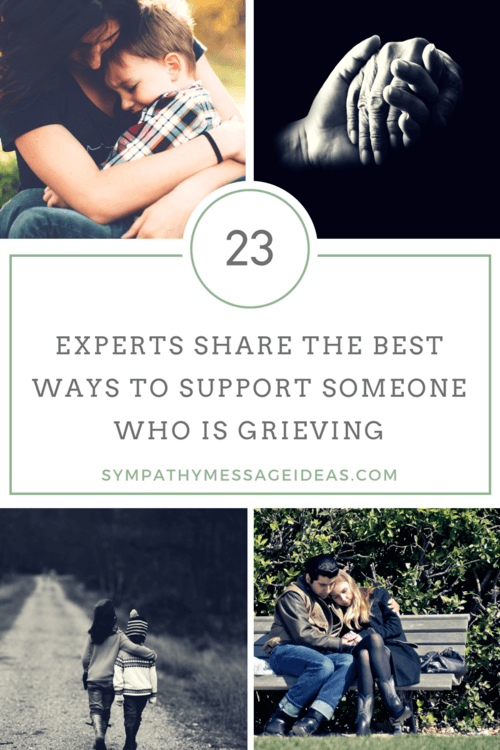 Supporting anyone who is grieving is complex and there is no one size fits all for doing so. 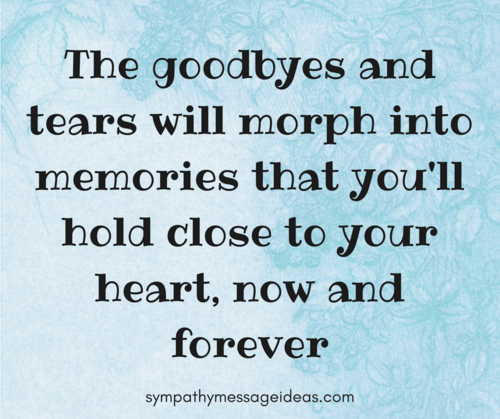 But hopefully you will have learnt and taken some advice from all the amazing contributions and be better prepared for being there to support your friends and family when they lose a loved one. Losing someone is terrible for everyone. One of the things that makes it easier to cope and get through a loss is the support of friends, family and the people around you. If you’re one of those people looking to offer comfort a good way to do so is by expressing your sympathy for their loss. 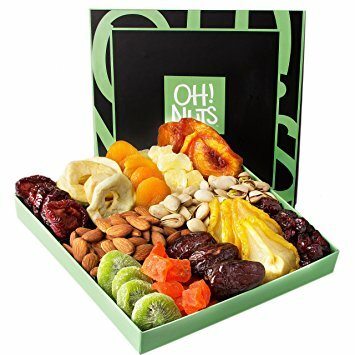 You can do this in person, with a gift and card or even through the internet with something like an email or using social media. 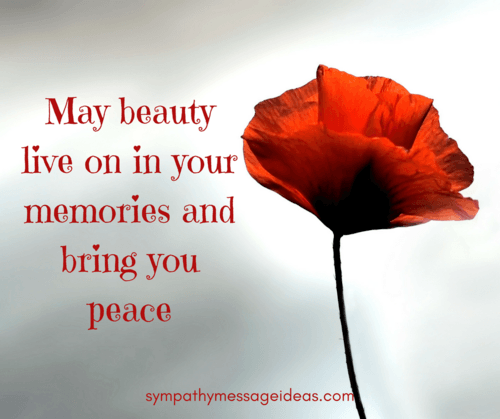 And something that can be better than a standard condolence message is a sympathy image. 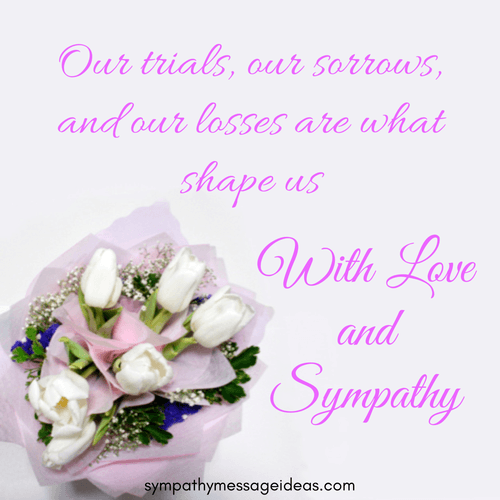 A sympathy or condolence image is a picture that expresses your empathy and understanding for what the bereaved is going through. 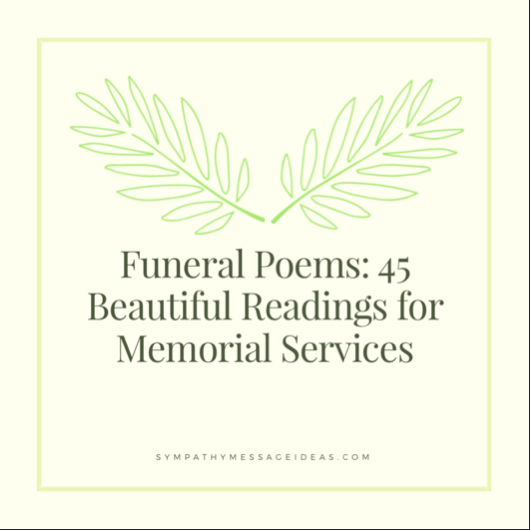 They often have fitting sympathy quotes or sayings that either offer your condolences or sums up the situation in a short line or two. 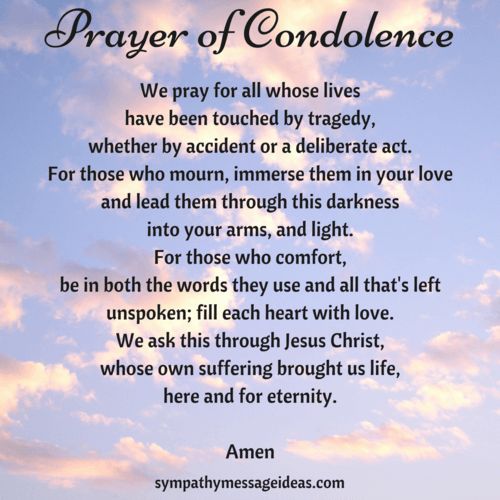 Below you’ll find a huge selection of our very own images of condolence. These pictures are all our own, created ourselves, and free to use on the likes of Facebook or Twitter. If you want to use them on your own website that’s fine, please credit us though. We hope these sympathy images will help to offer your deepest condolences and bring some comfort to those suffering a horrible loss. 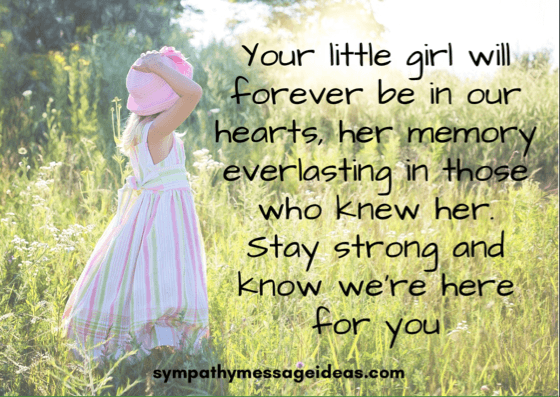 Losing a child is one of the most tragic things that could happen to anyone. A parent having their son or daughter taken from them will likely be the most painful experience that could possibly be imagined. The grief will be long lasting and change the lives of the family involved forever. 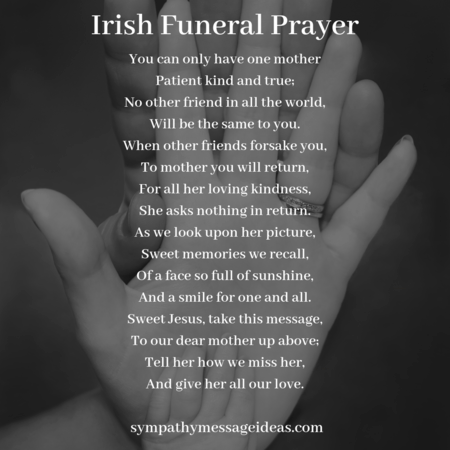 If you are unlucky enough to know a parent, or parents, going through the loss of a child you may want to reach out and show you are there for them if they need you. But trying to find the right words during such a traumatic time is incredibly tricky. 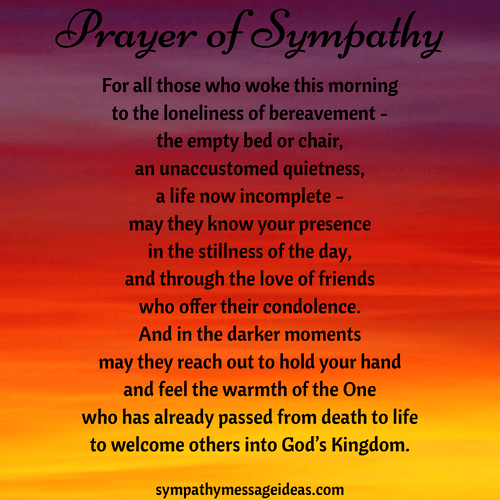 A condolence or sympathy card is always a touching gesture but needs to have considered and thoughtful wording. You don’t want to cause offence by saying the wrong thing. But at the same time you shouldn’t be put off offering sympathy. A message of love that speaks of how sorry you are and the support you can give will always be appreciated. For the parents, just knowing that friends and family are thinking of them whilst they go through such an awful time can alone be comforting. So if you are considering not sending a card or reaching out please don’t be afraid to. If you are still struggling and aren’t sure what to say or write then try one of the messages below. They should either provide inspiration to write your own or can be copied directly as they are. Just remember to speak from the heart and your card and message will be warmly received. Having heard the sad news we are sending so much love and prayers to you both. Goodnight, God bless precious baby.